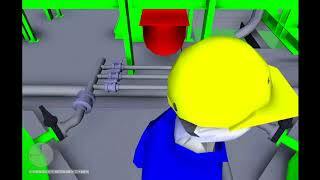 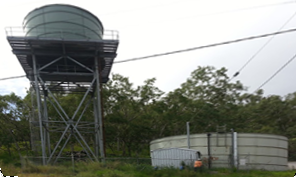 GANDEN Engineers and Project Managers is one of Australia’s leading water industry consultancies. 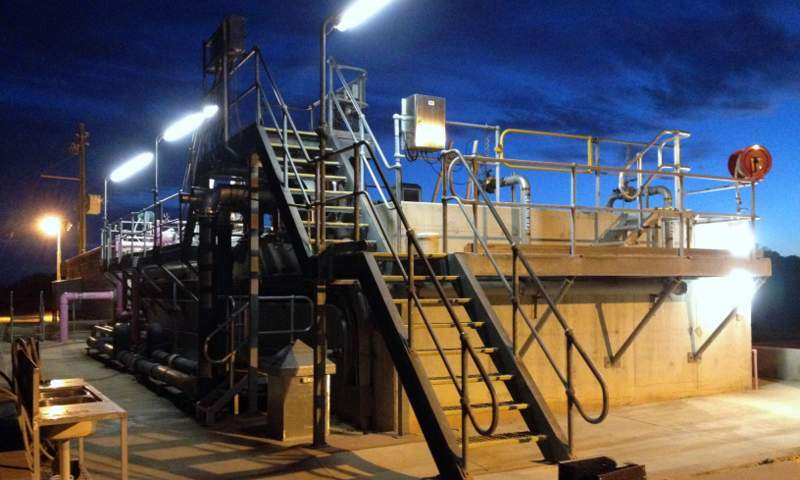 We assist our clients in design, procurement, commissioning and operation of water and wastewater assets . 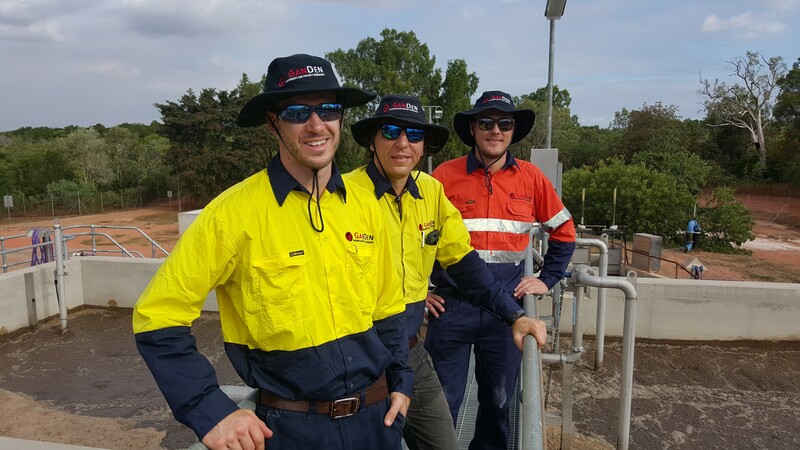 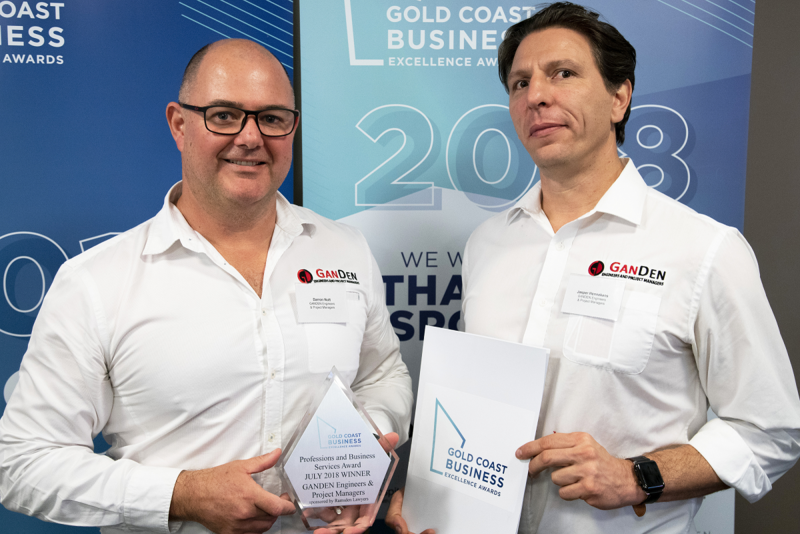 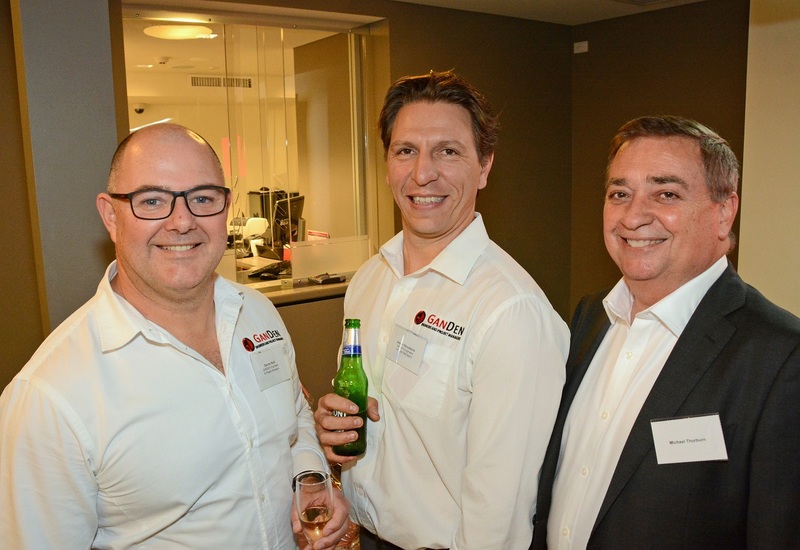 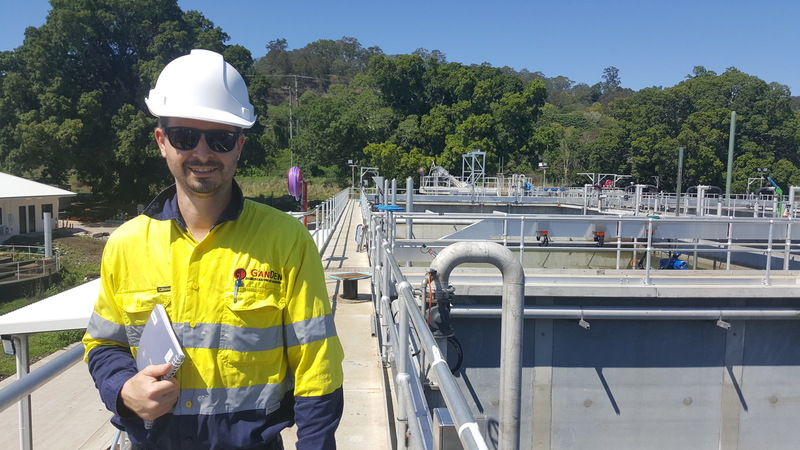 With a current team of 25 Engineers and Designers, GANDEN has completed over 250 water industry projects, from the Torres Strait Islands to Tasmania, and delivered designs on projects worth a combined capital value of several hundred million dollars. 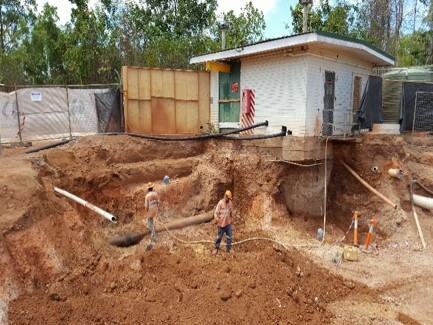 GANDEN provided design services to Demacs Constructions for the installation of a major Recycled Water Main on Bermuda Street for Gold Coast Water. 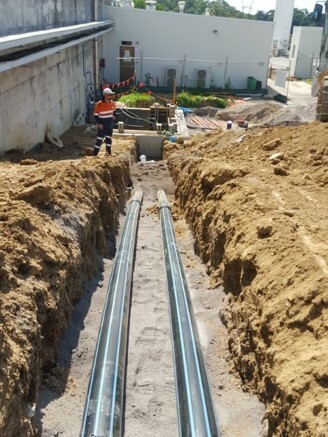 Critical for this project to succeed in the short window of time to install was ensuring dimensional accuracy of the new pipe connections. 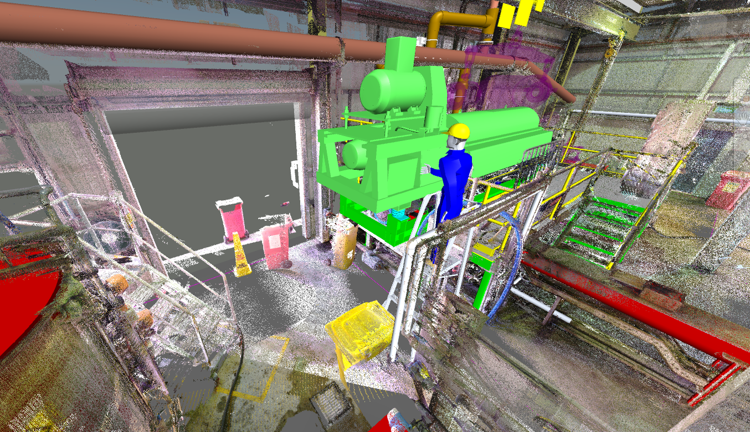 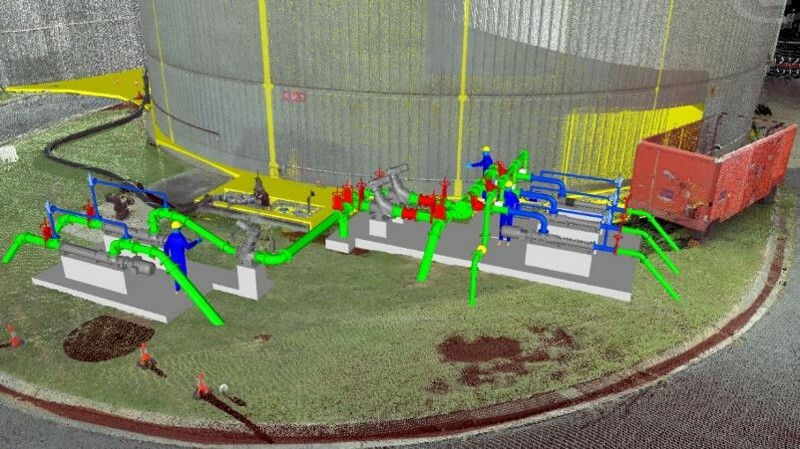 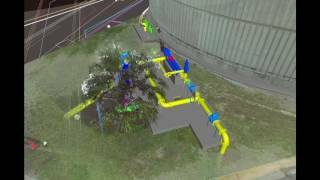 This was achieved using 3D laser scanning of the existing piping, then scanning of the manufactured pipeline in the workshop prior to installation and feeding this information back into the 3D model. 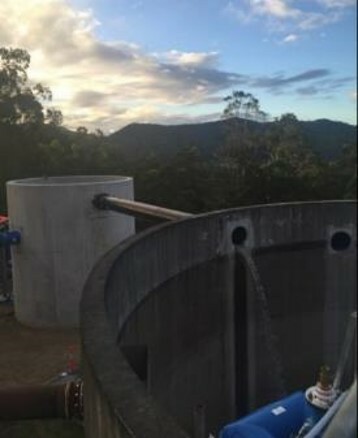 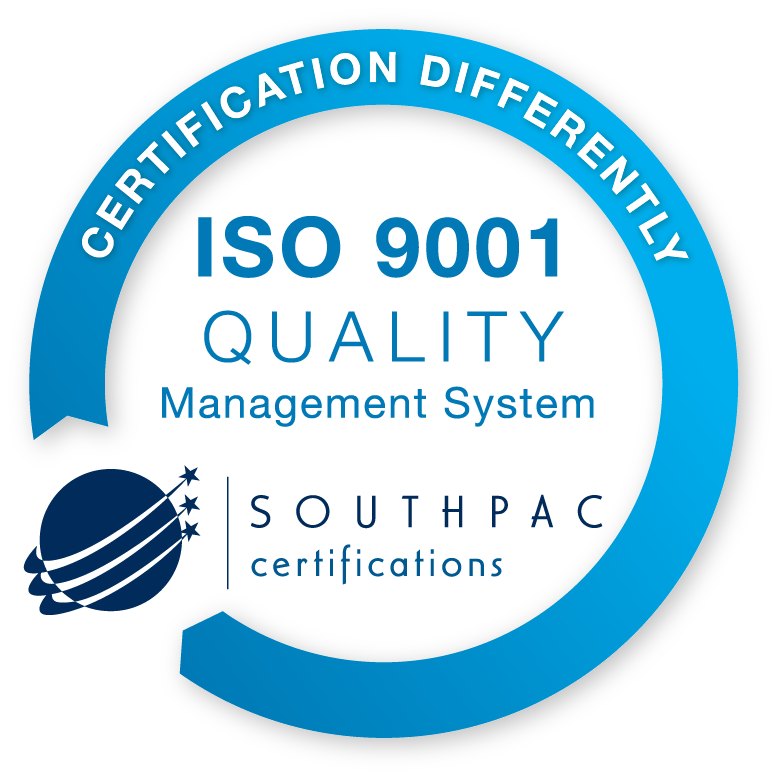 QUU required a fasttrack replacement of the Oxley Creek Centrifuge. 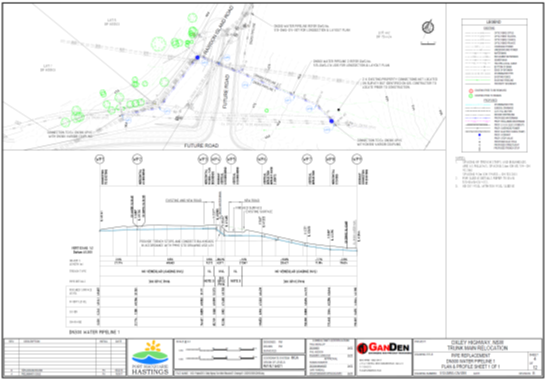 GANDEN assisted Comdain Infrastructure with the design services. 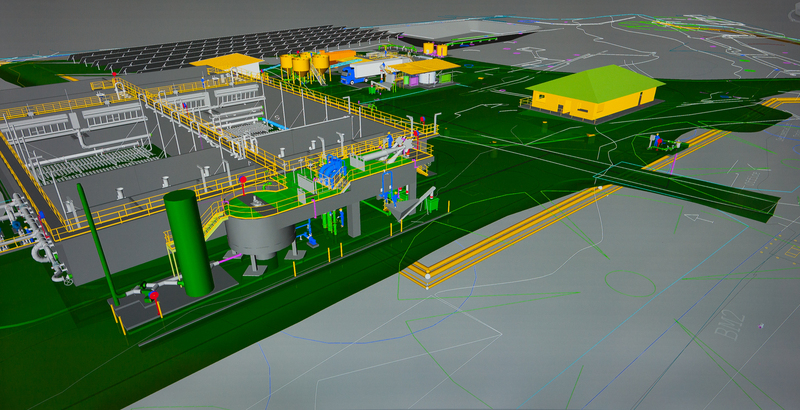 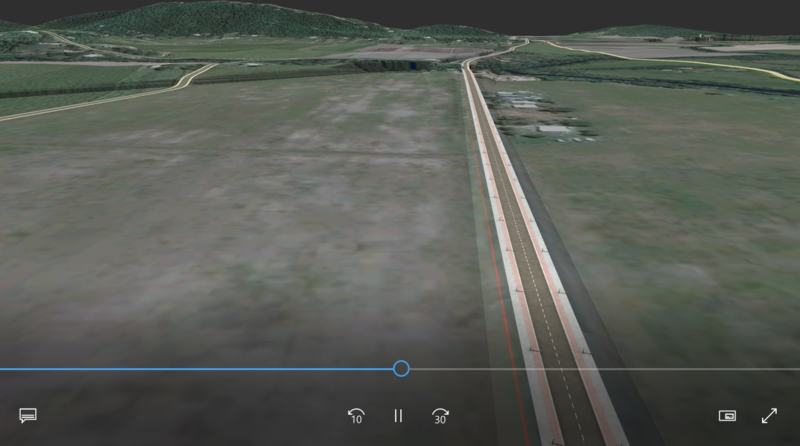 3D design over a priont cloud survey was critical to ensuring the design was done in the timeframes provided. 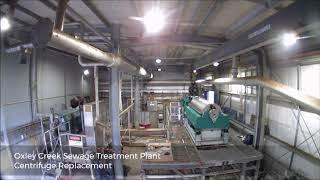 Check out our video of some of our projects in the last 5 years. 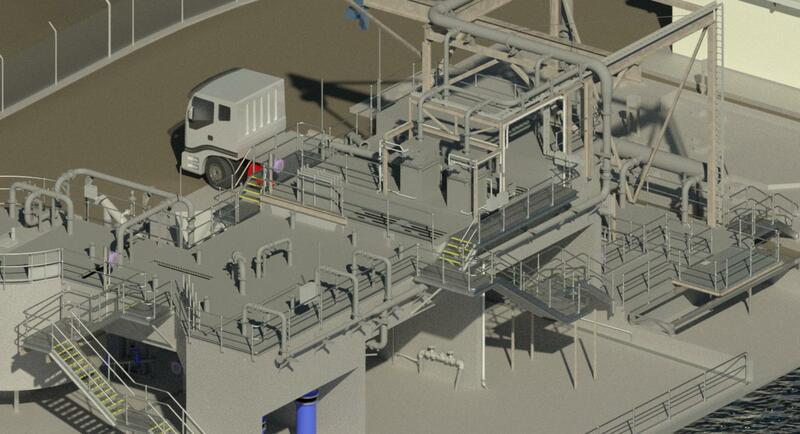 Process, Hydraulic, Civil and Mechanical Design for a 270,000 EP STP in Brisbane. 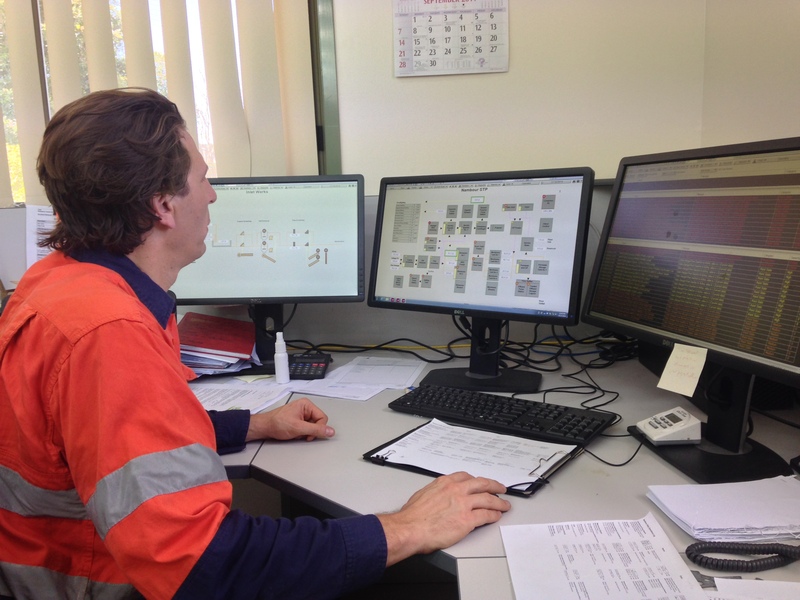 Civil, Hydraulic and Mechanical Design and Drafting for the 20,000 EP Lismore STP Upgrade. 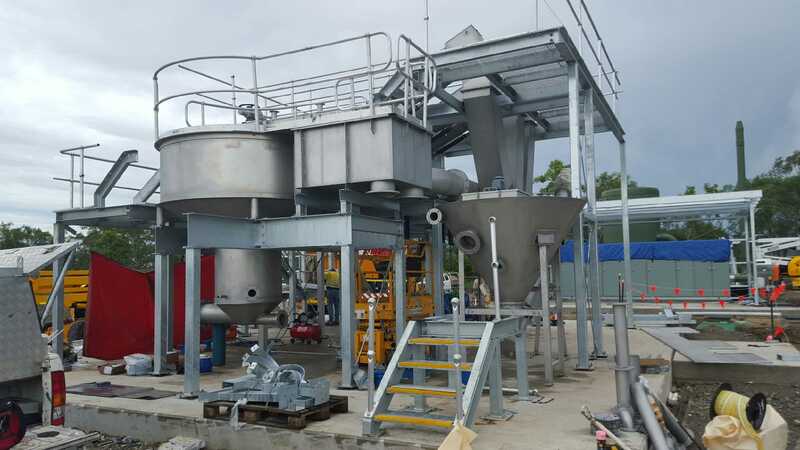 This plant employed Sequencing Batch Reactor treatment, with cloth filters for effluent polishing and belt filter press. 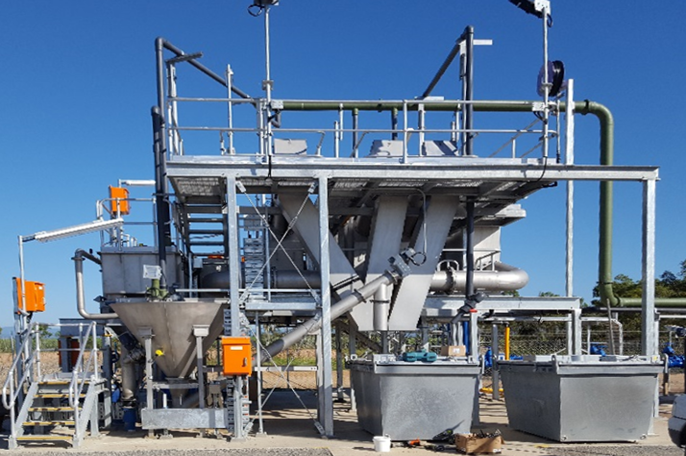 Process, Mechanical, Civil and Structural Design for new sludge transfer system, centrifuges, polymer dosing, MHL dosing, service water and centrate pumping for the 700,000 EP Luggage Point STP in Brisbane. 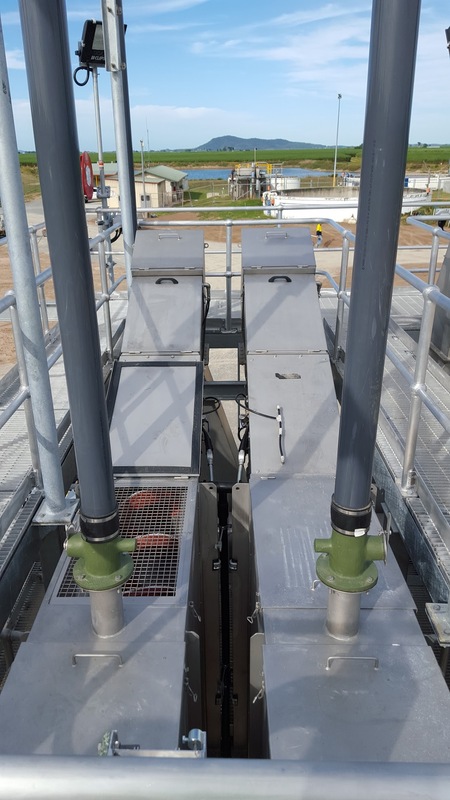 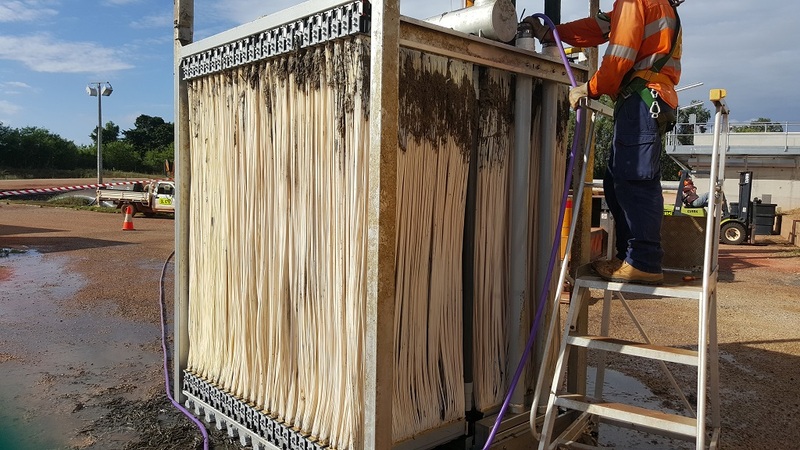 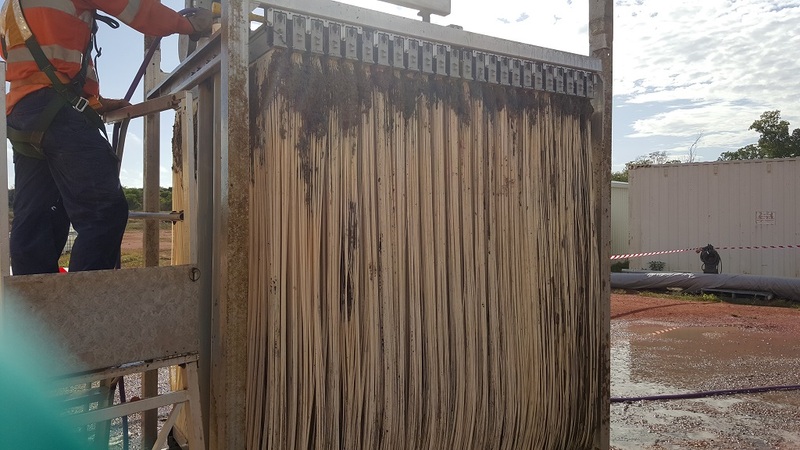 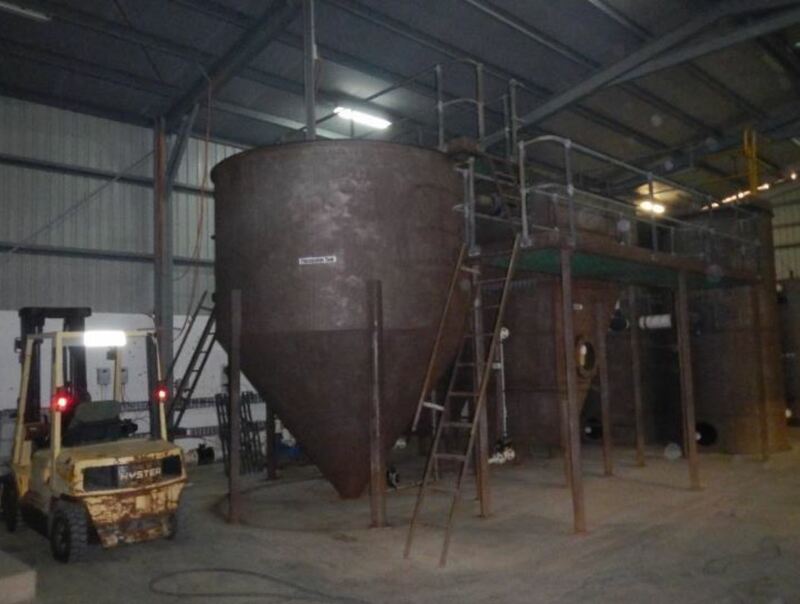 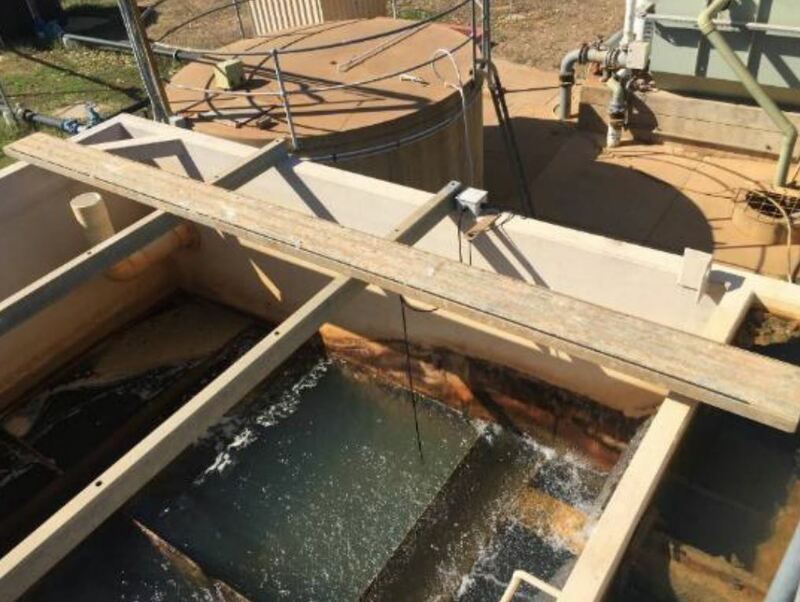 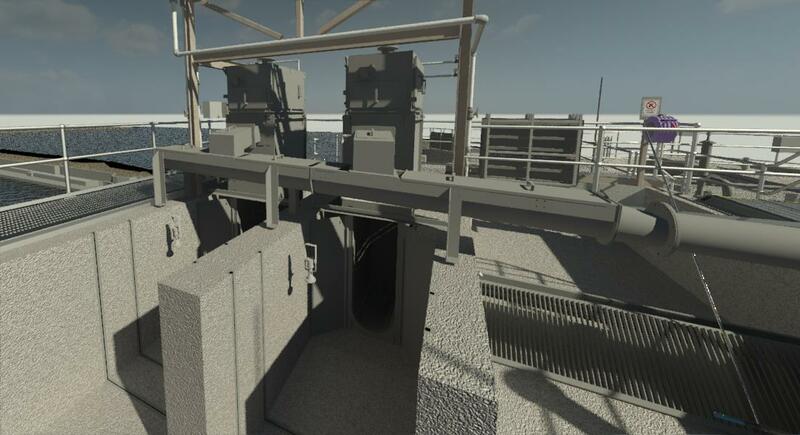 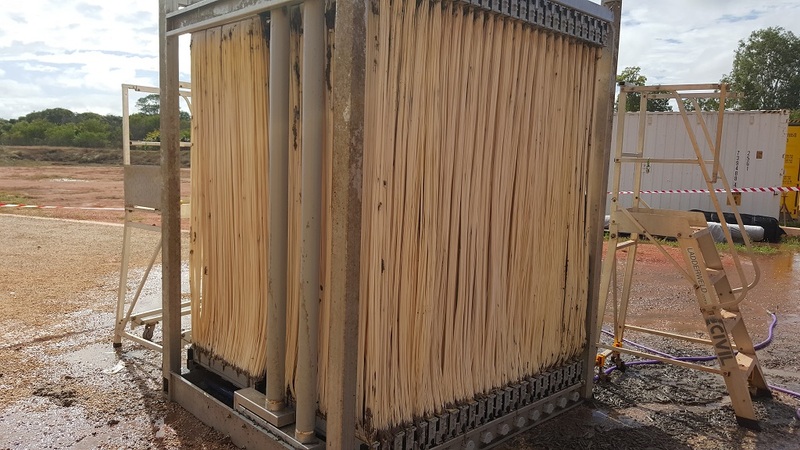 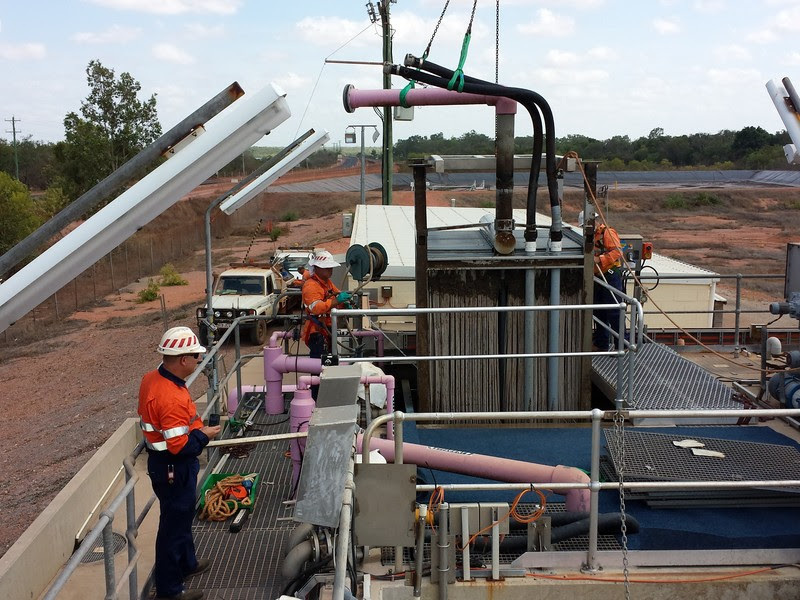 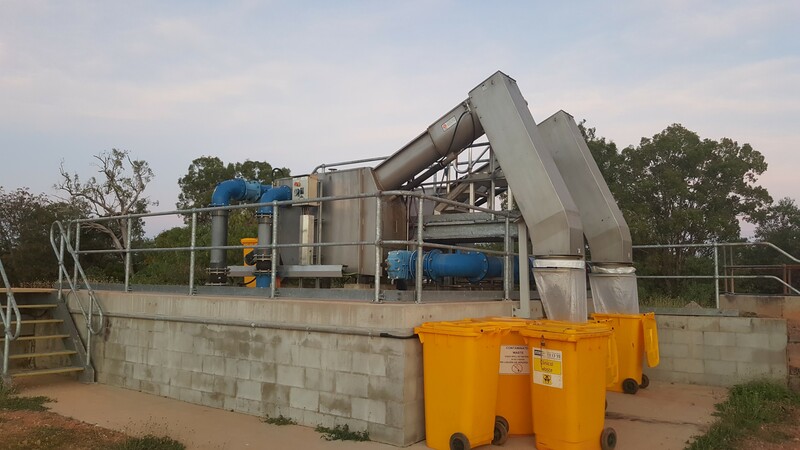 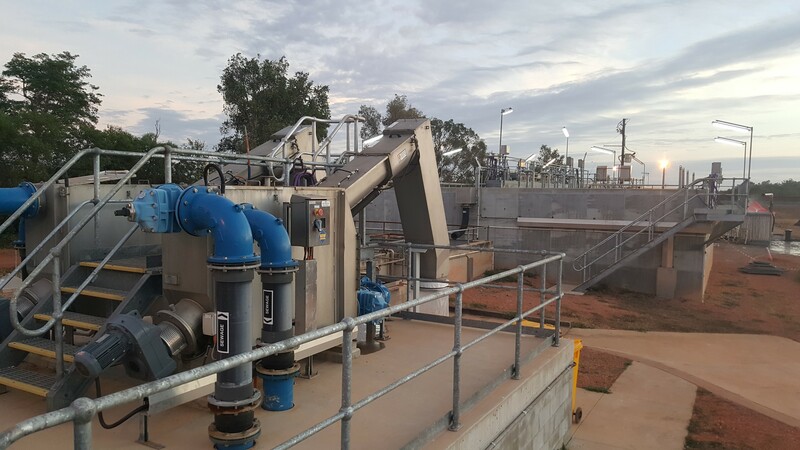 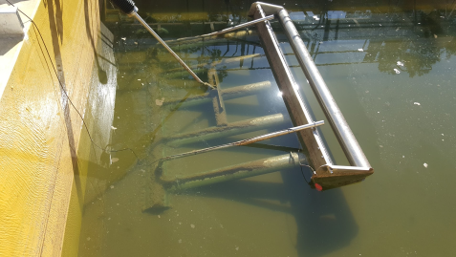 Process, Hydraulic, Civil and Mechanical Design of an inlet works with band screens and grit removal and odour control for a 50,000 EP sewage treatment plant in Darwin. 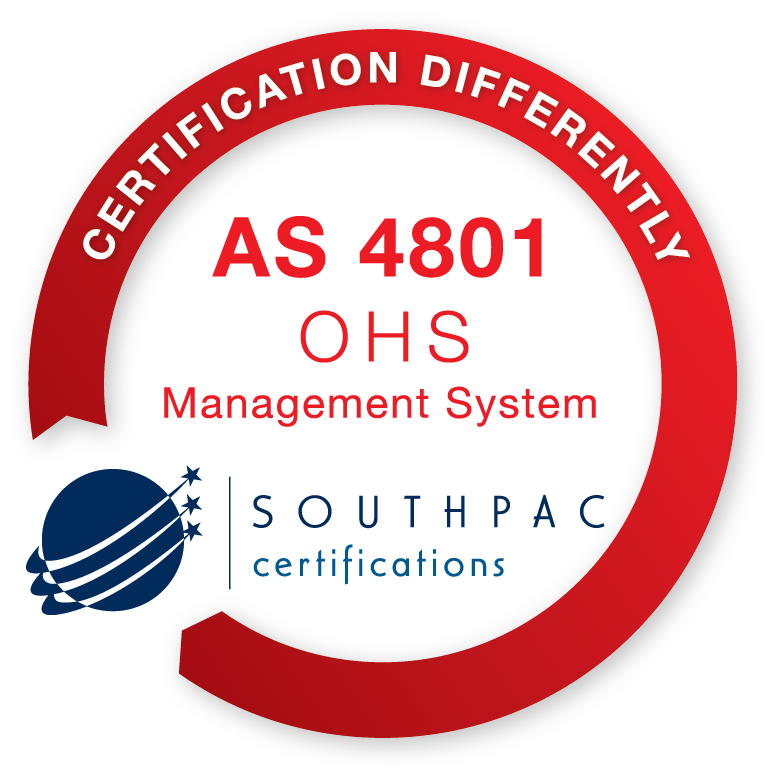 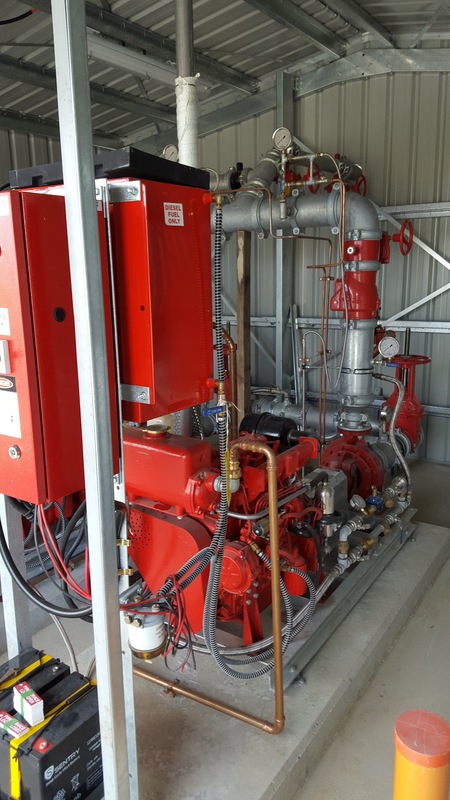 Process, Mechanical, Civil, Hydraulic, Electrical and Controls Design and Commissioning of a new 4,000 EP SBR in North Queensland. 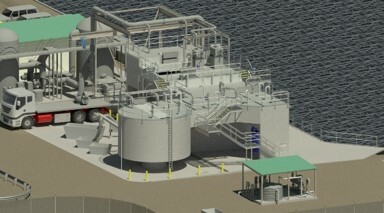 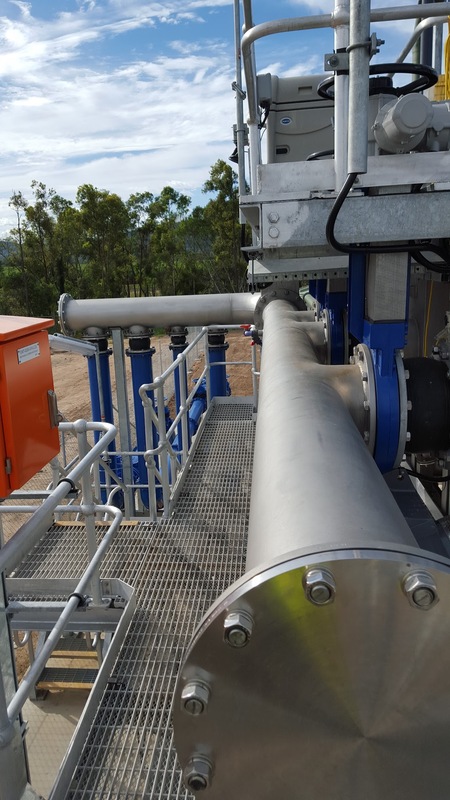 Process, Mechanical, Hydraulic, Civil Design and Commissioning of a new 1,500 EP MBR Plant in North Queensland. 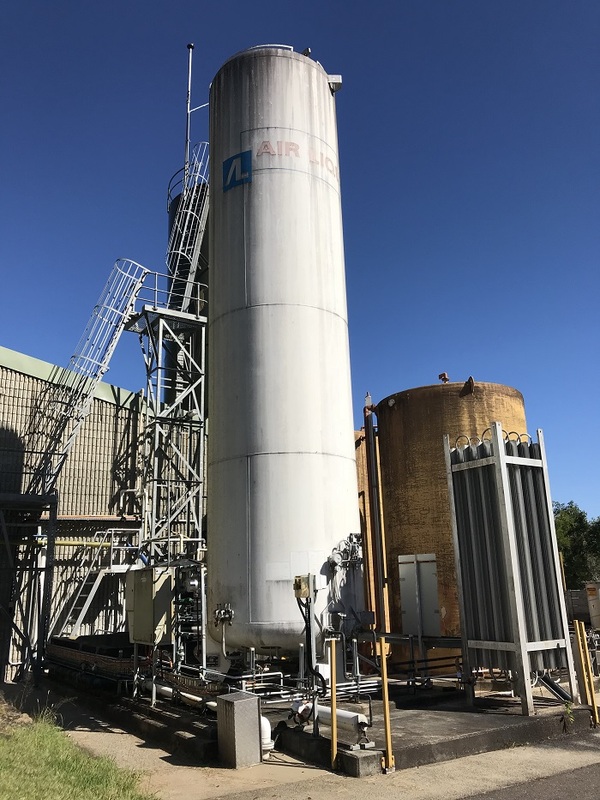 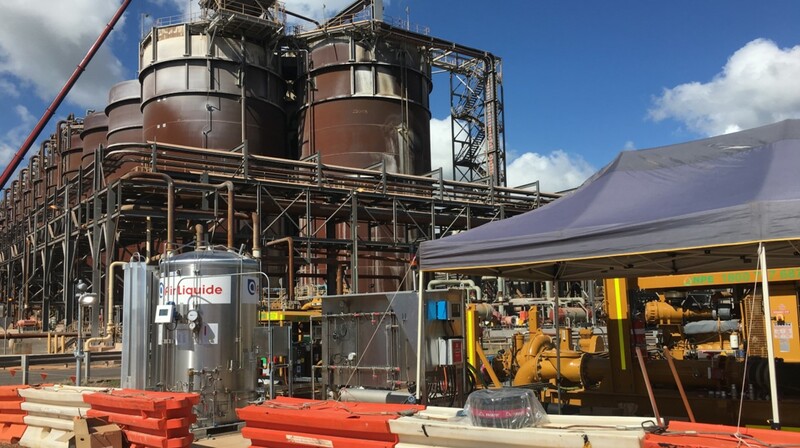 Process, Mechanical, Civil, Structural and Electrical Design and Commissioning of an upgrade to a 8,000 EP MBR plant to achieve 1mg/L Ammonia, 5mg/L Total Nitrogen, 1mg/L Total Phosphorus in Far North Queensland. 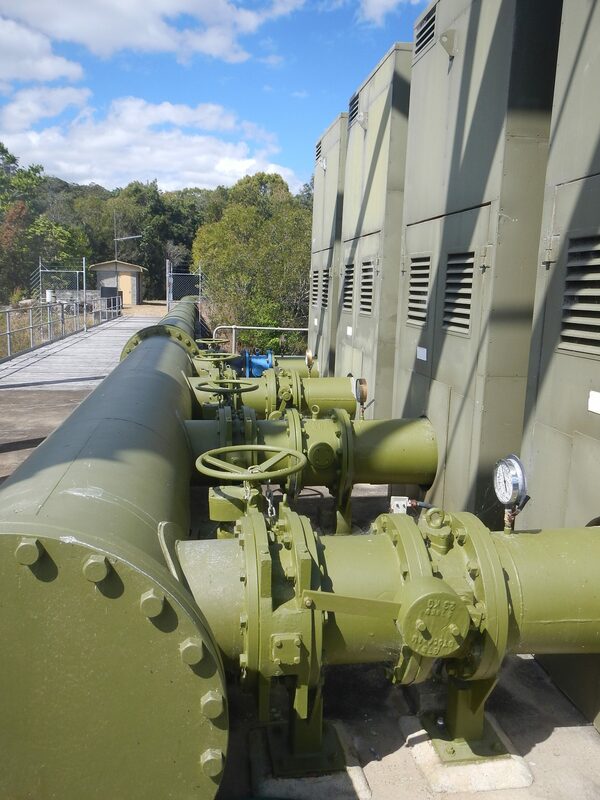 Provision of Technical Advisory Services to Unitywater for the 40,000 EP Upgrade in the Sunshine Coast. 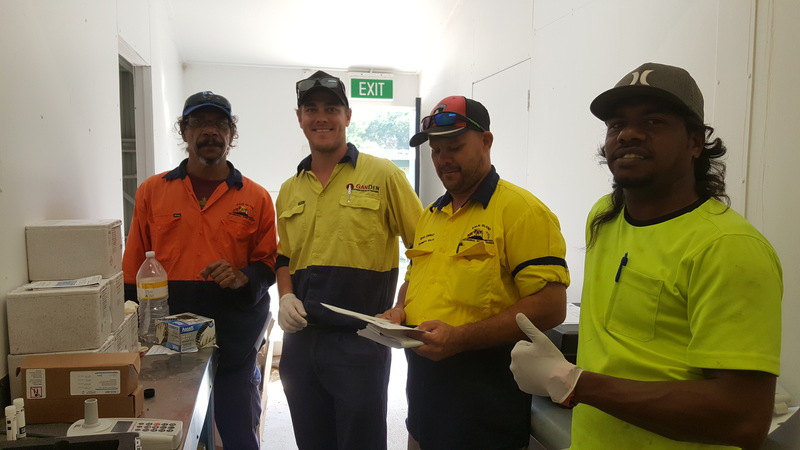 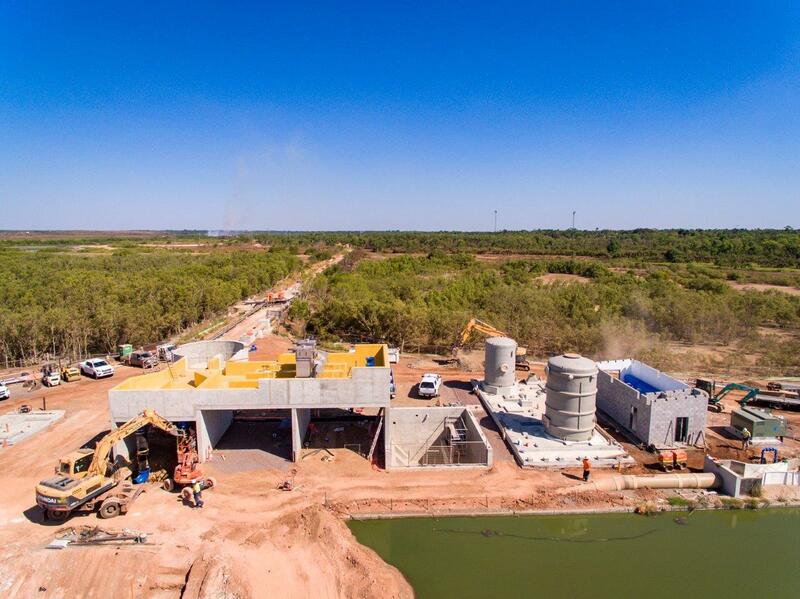 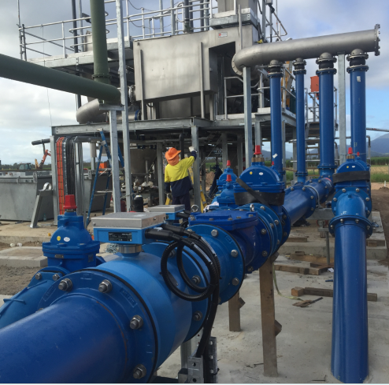 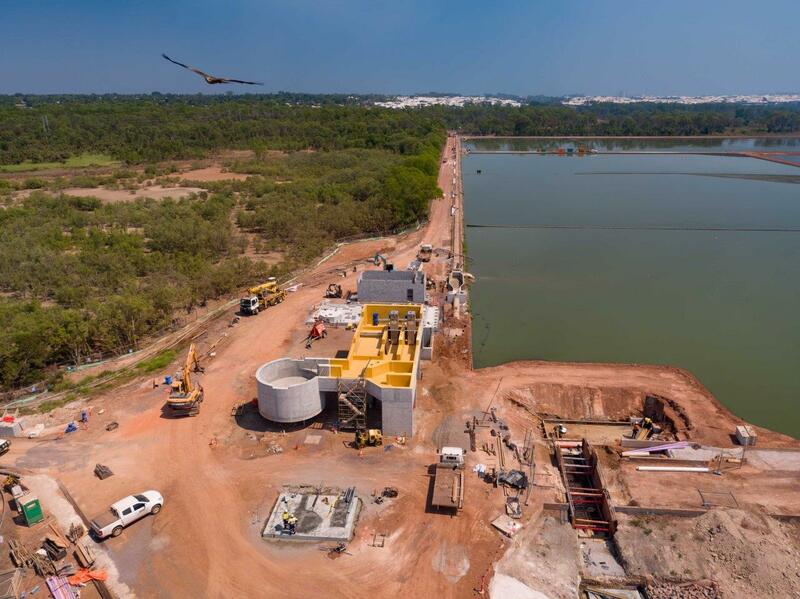 Project Management, Process, Mechanical and Civil Design and Commissioning Supervision for a new Inlet Works, Odour Control Facility, Service Water and Fire Water Facilities at Mackay Regional Council's 10,000 EP Mirani Water Recycling Facility (WRF) in North Queensland. 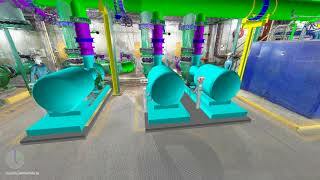 GANDEN was the process designer, civil designer and commissioning lead. 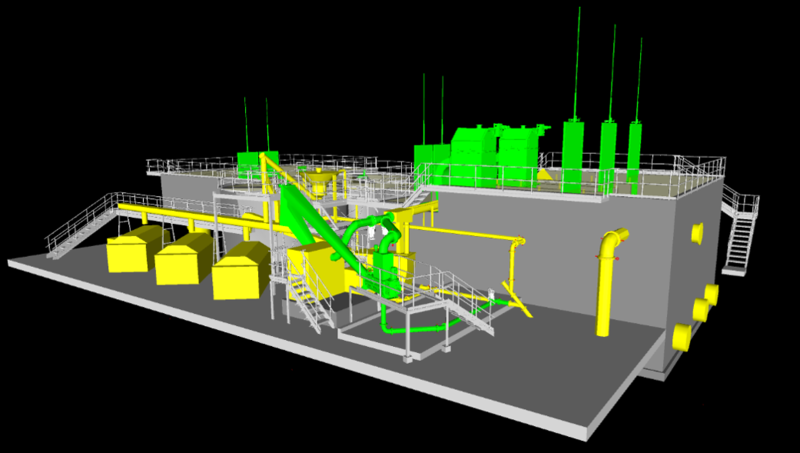 GANDEN also performed the role of Project Manager for the entire project. 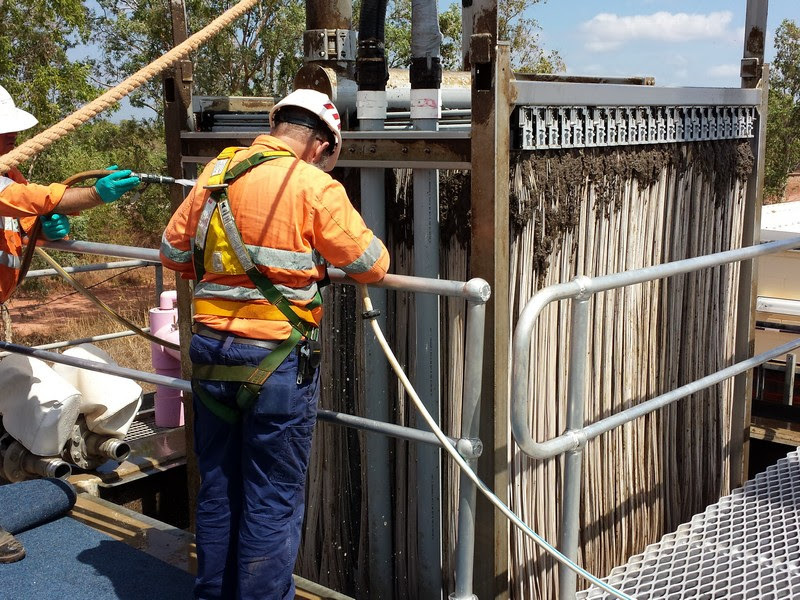 Technical Advisory Services for the upgrade of an oxidation ditch to a MBR for a major mining company in Far North Queensland. 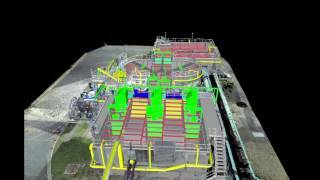 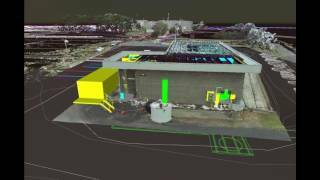 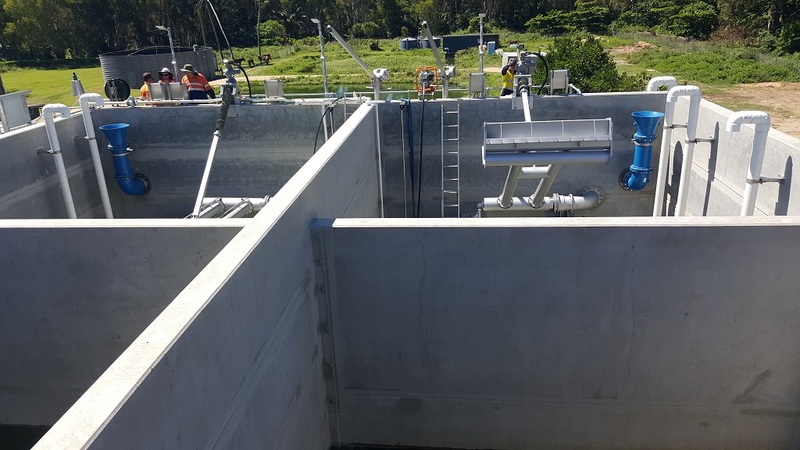 Process, Mechanical, Civil, Structural and Hydraulic Design of an upgraded sludge handling facility at the Seqwater Mudgeeraba WTP on the Gold Coast. 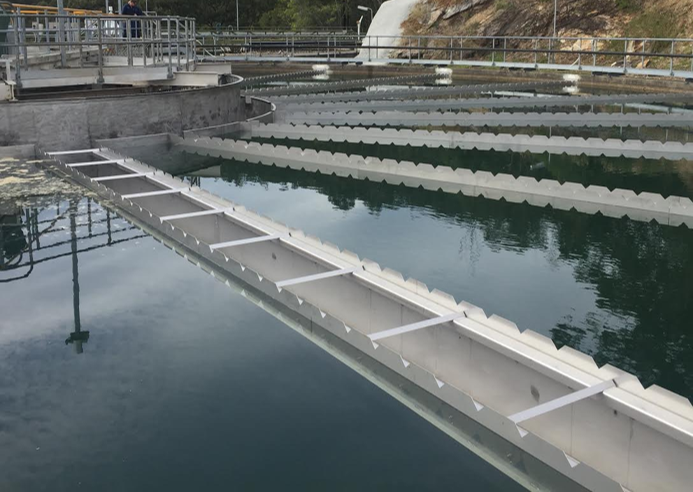 GANDEN was engaged to design new stainless-steel launders at the Mudgeeraba Water Treatment Plant on the Gold Coast. 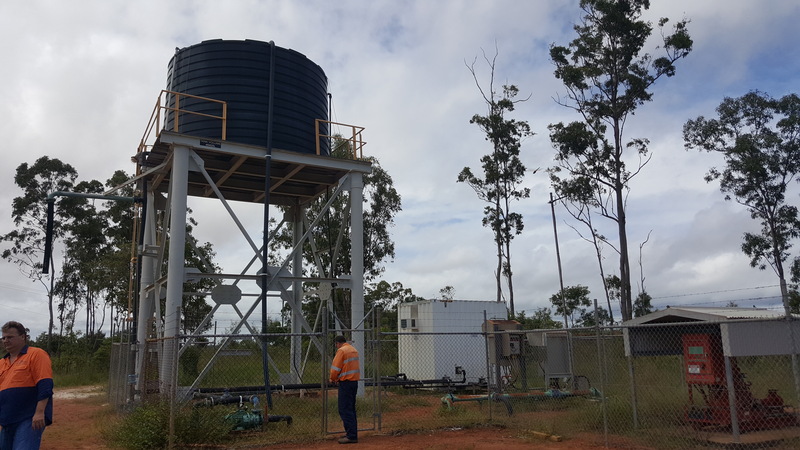 Investigation, design and documentation of a new chlorine gas dosing system for the town of Gove in the Northern Territory. 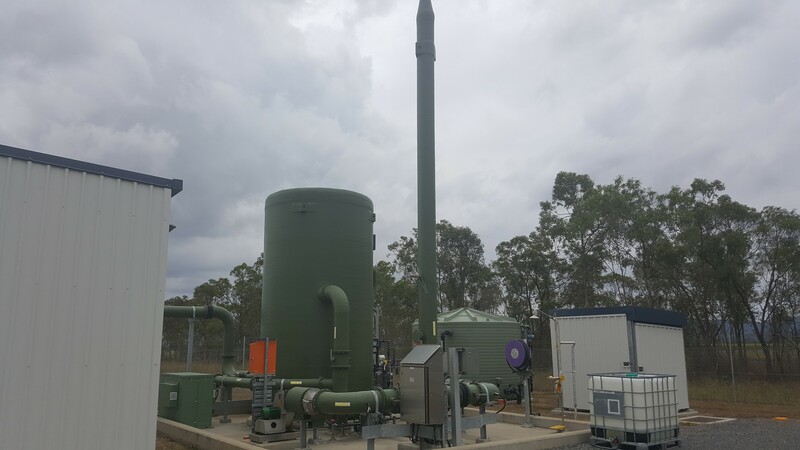 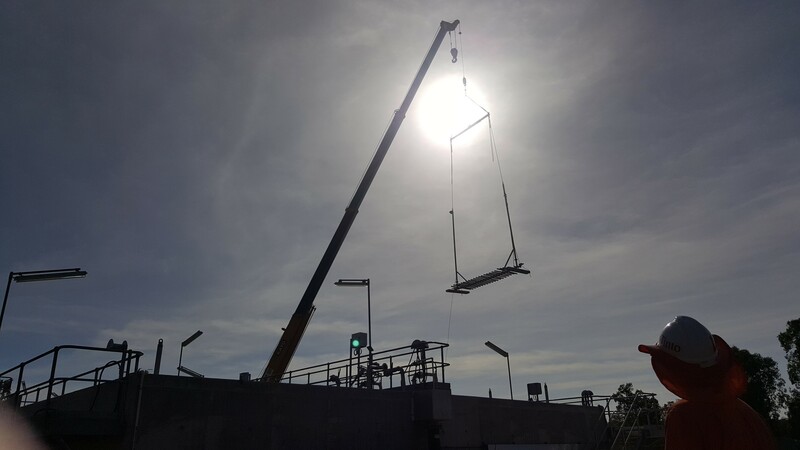 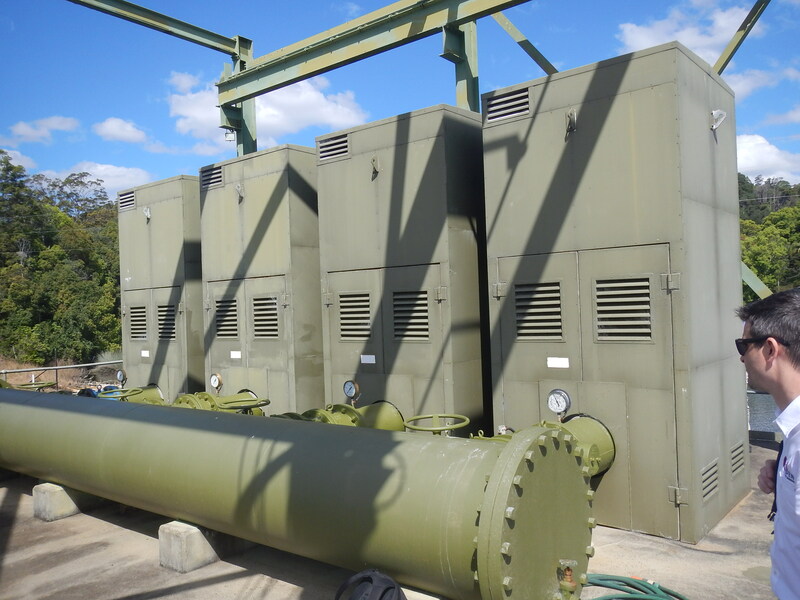 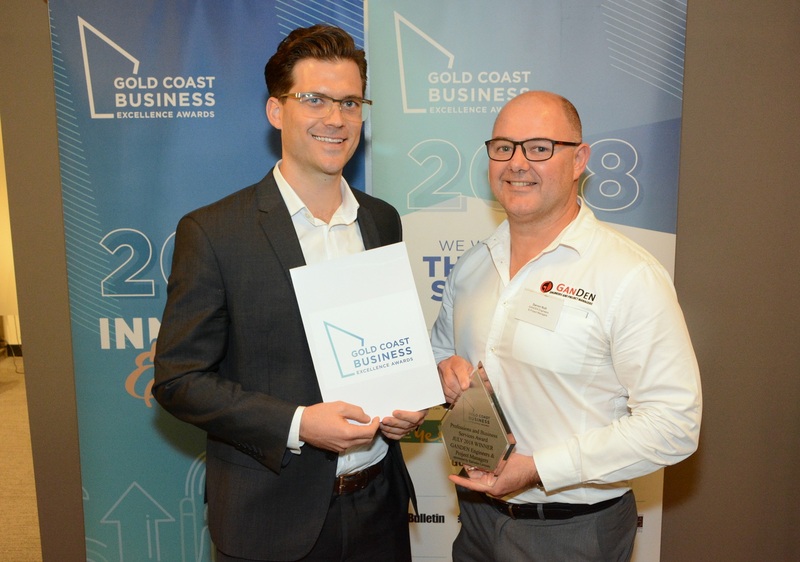 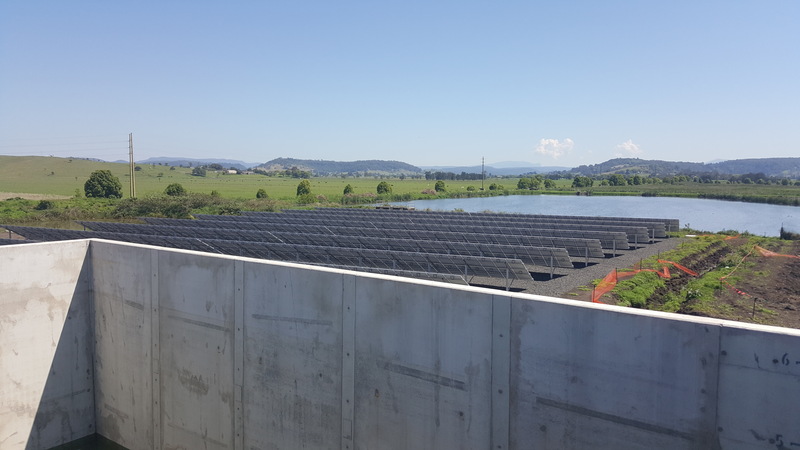 GANDEN’s role on this project was to undertake detailed design for the replacement of three existing Trailigaz Ozone generator units with three new Wedeco Ozone generator units for the Landers Shute WTP on the Sunshine Coast. 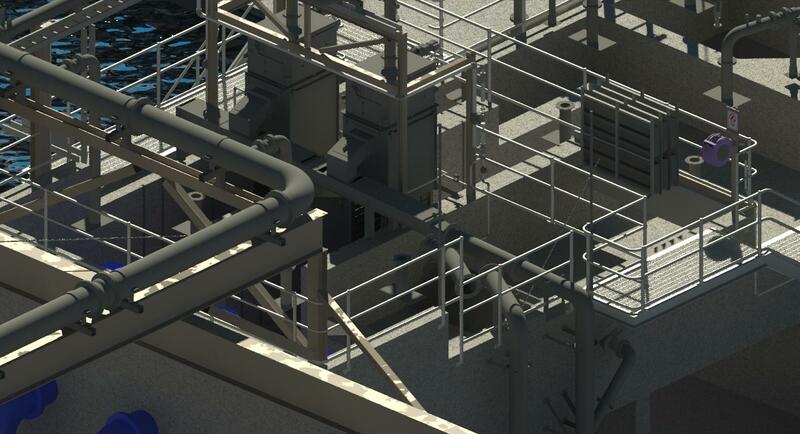 This required P&ID, civil, structural and mechanical detailed design drawings outlining the modifications to ventilation, cooling water pumps, plinths and pipework required to install the new Ozone Generators. 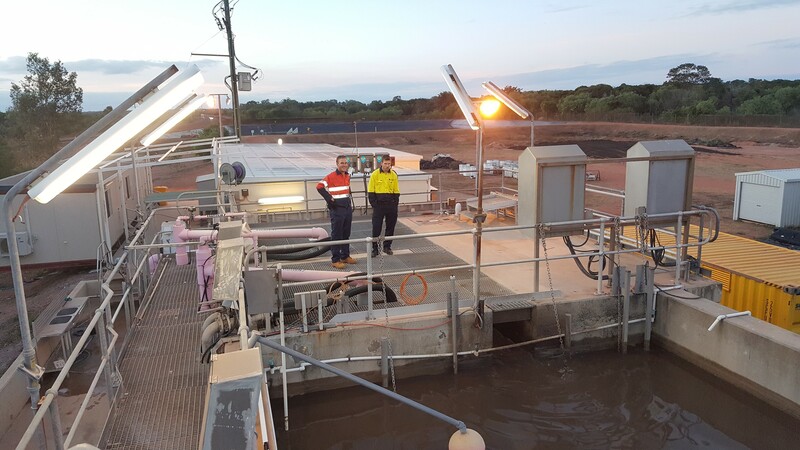 GANDEN assisted in the design and installation of sodium hypochlorite dosing upgrades for the town of Weipa, Far North Queensland. 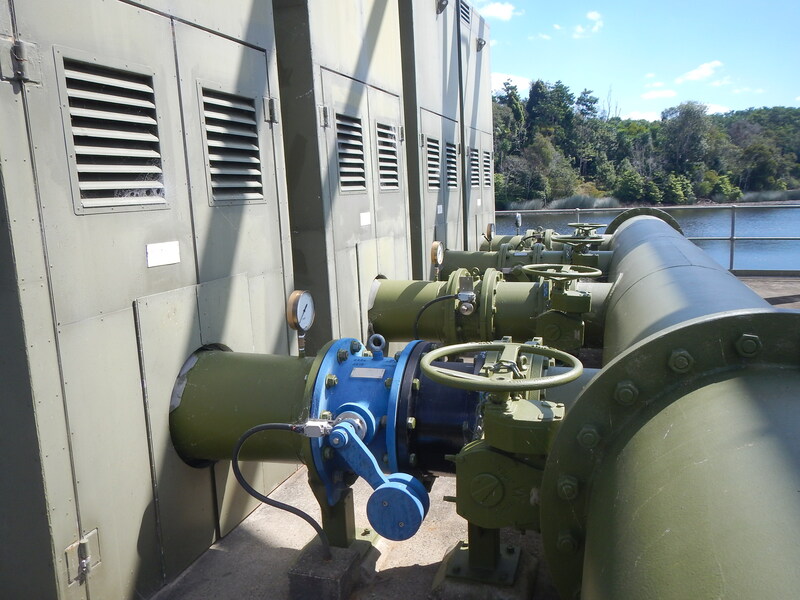 Mechanical and electrical review and documentation for new raw water pumps and VSDs in NSW. 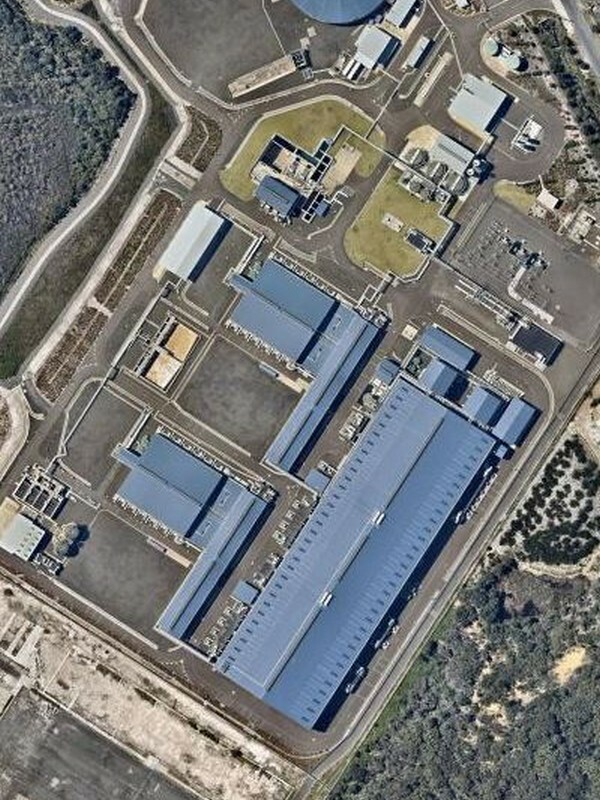 On 16 December 2015, the Sydney Desalination Plant suffered severe damage from a tornado. 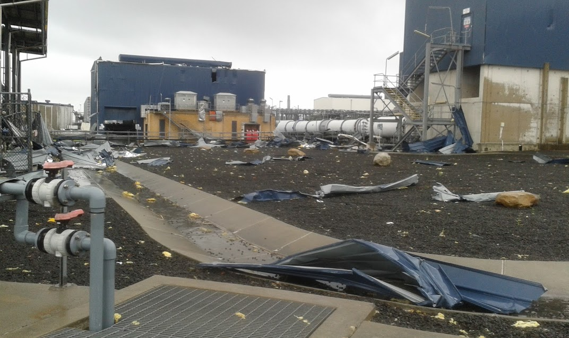 GANDEN personnel were seconded into a team of specialist technical advisors to assist the insurance loss adjusters. 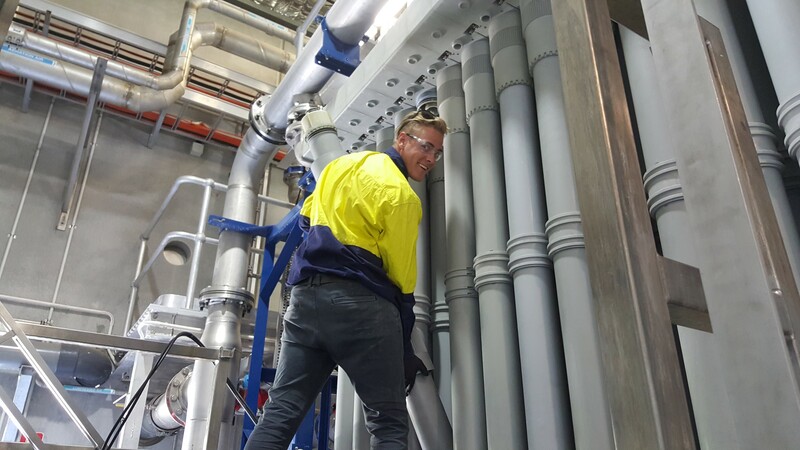 GANDEN also had people on site designing and operating a temporary SBS dosing system to ensure the $55m worth of RO membranes were preserved. 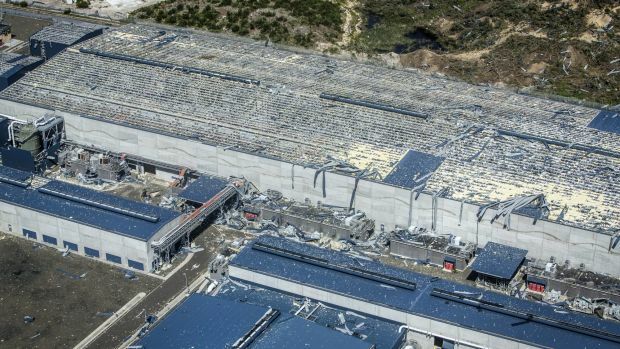 GANDEN’s assessment of the storm damage to the main process building of the desalination plant was that the reverse osmosis membranes were at risk due to the draining of sodium bisulphite preservation solution. 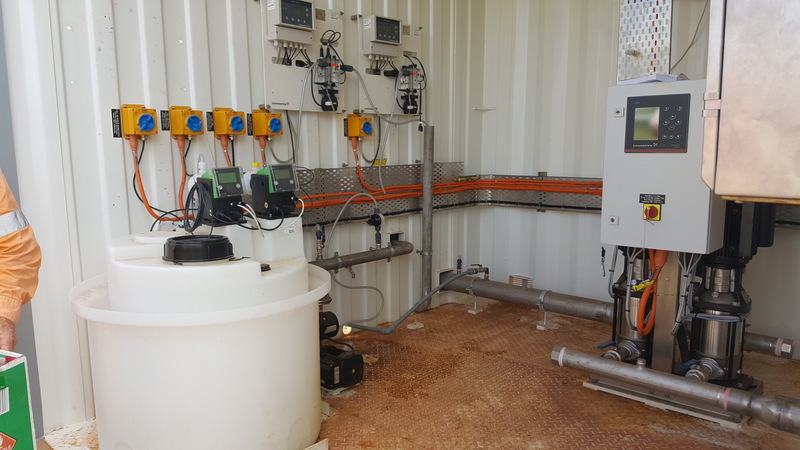 GANDEN designed a temporary SBS batching and dosing system that enabled the reverse osmosis system to be refilled. 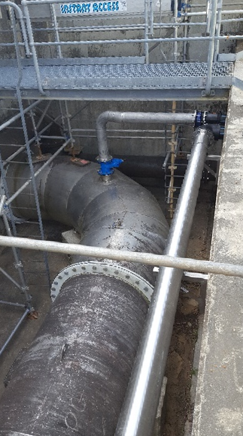 These actions saved the membranes and prevented a substantial claim for loss of the membranes. 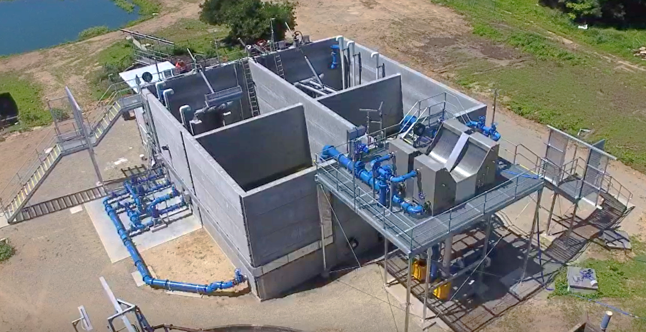 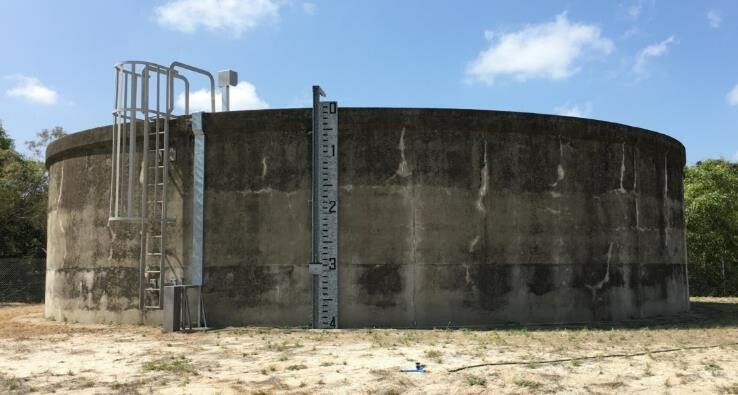 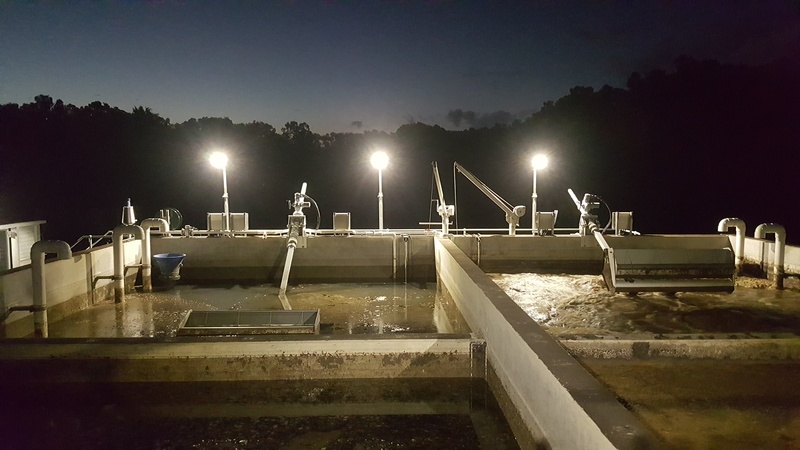 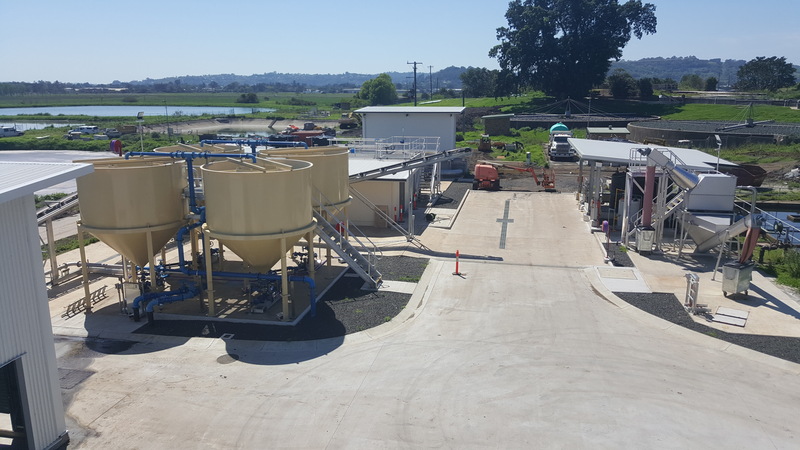 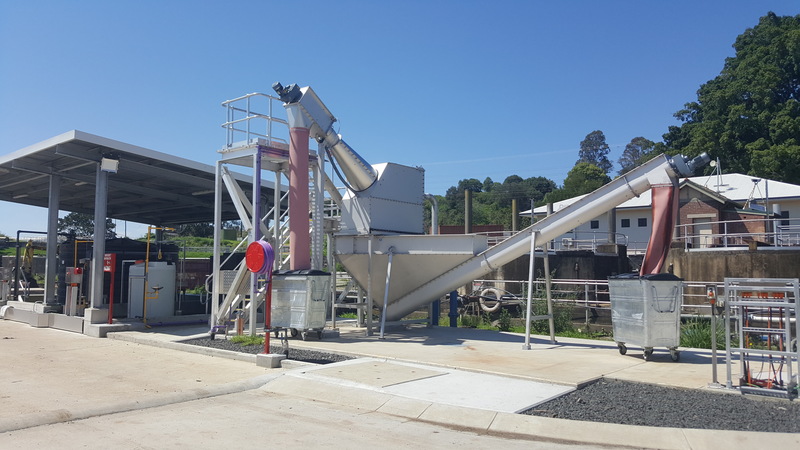 Ballina Shire Council’s effluent reuse scheme is designed to provide recycled water to a portion of Ballina’s residential customers, commercial customers and for open space irrigation. 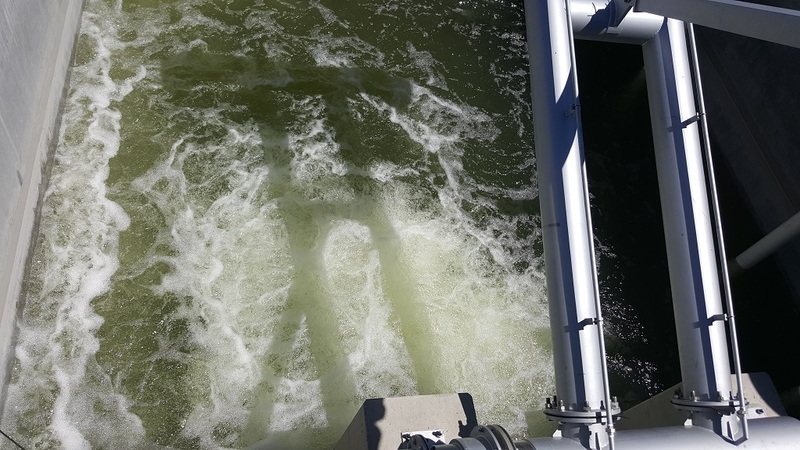 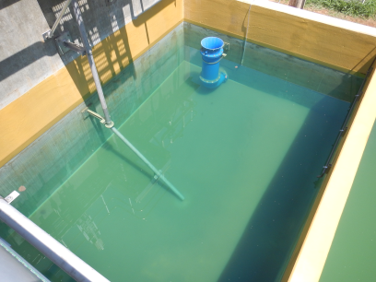 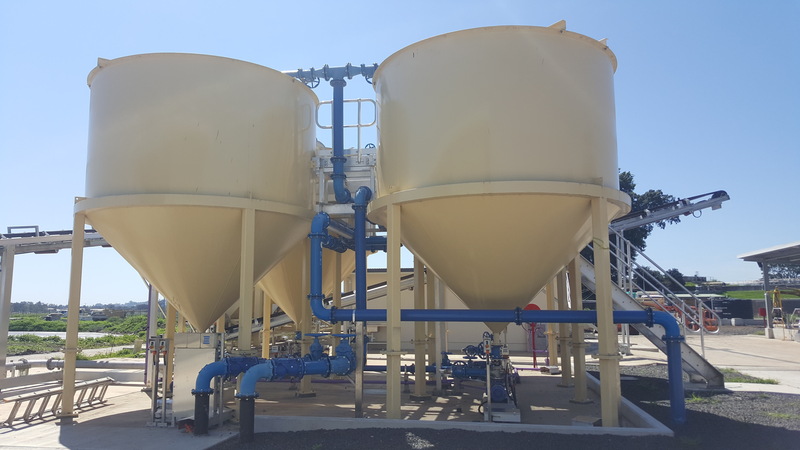 Due to the coastal location, the plant influent sometimes has elevated levels of total dissolved solids from salt water inflow into the sewerage system. 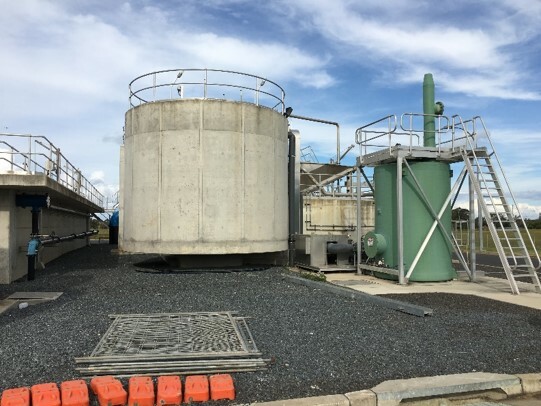 GANDEN was contracted by Council to develop, assess and compare a range of feasible options and recommendations for the on-site desalination of recycled water at Ballina WWTP to meet the TDS limit imposed by Council. 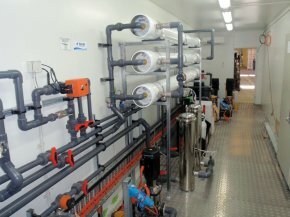 Options considered included reverse osmosis, nanofiltration, electrodialysis reversal, capacitive deionisation, ion exchange, thermal distillation and solar distillation. 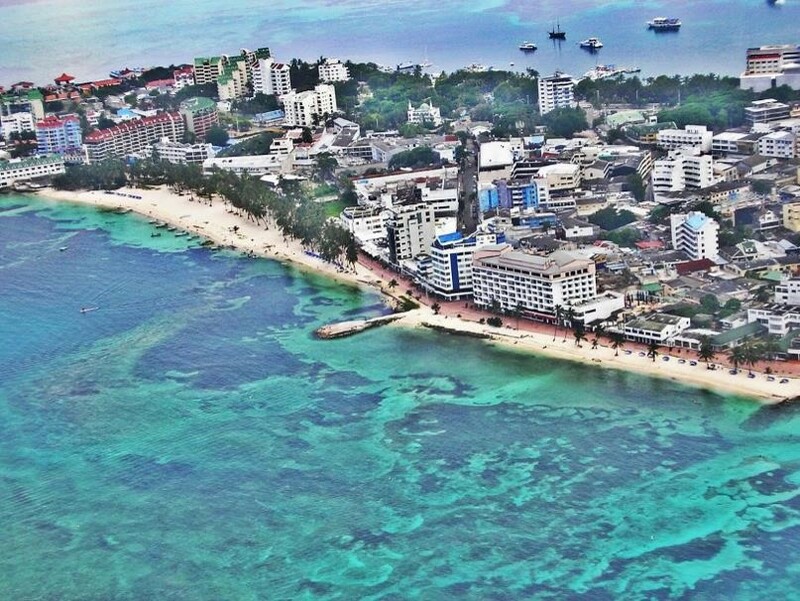 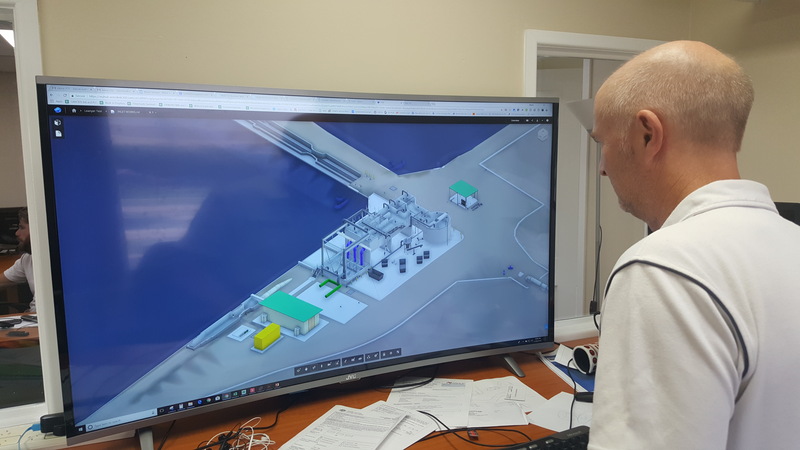 GANDEN provided expert process review of the design of a new 50L/s desalination plant for the Columbian Caribbean Sea island of San Andrés. 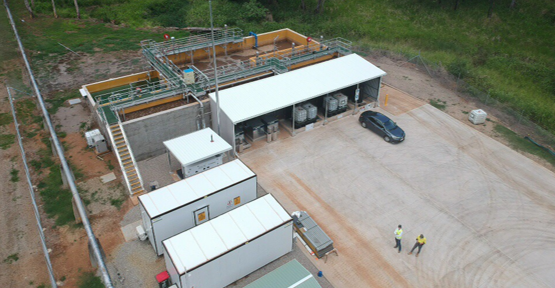 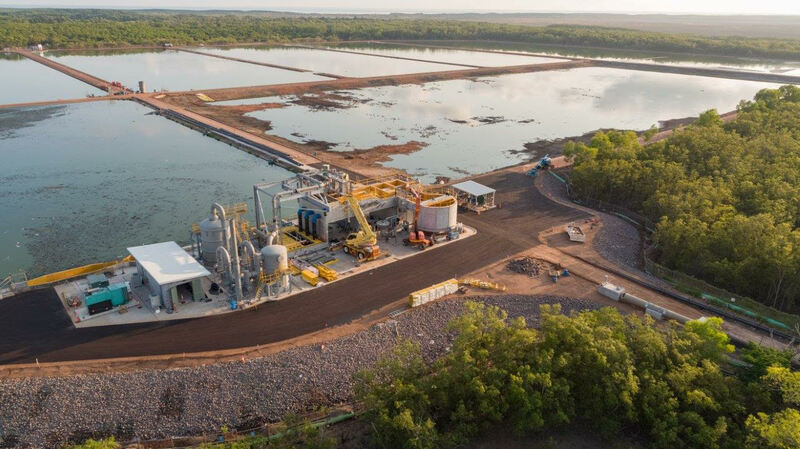 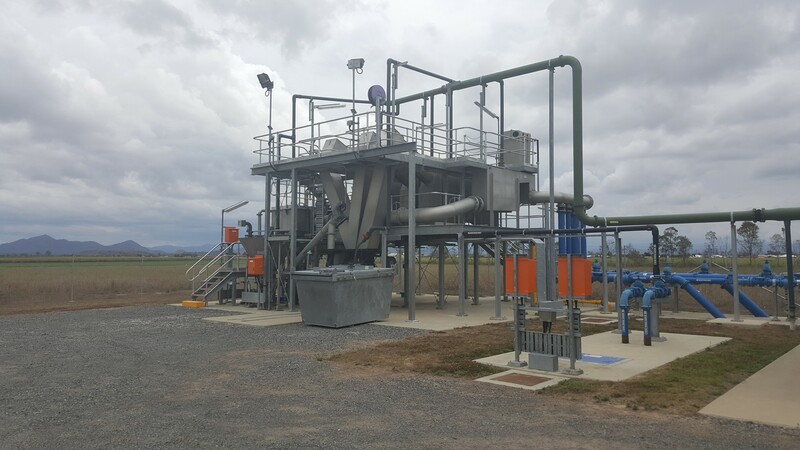 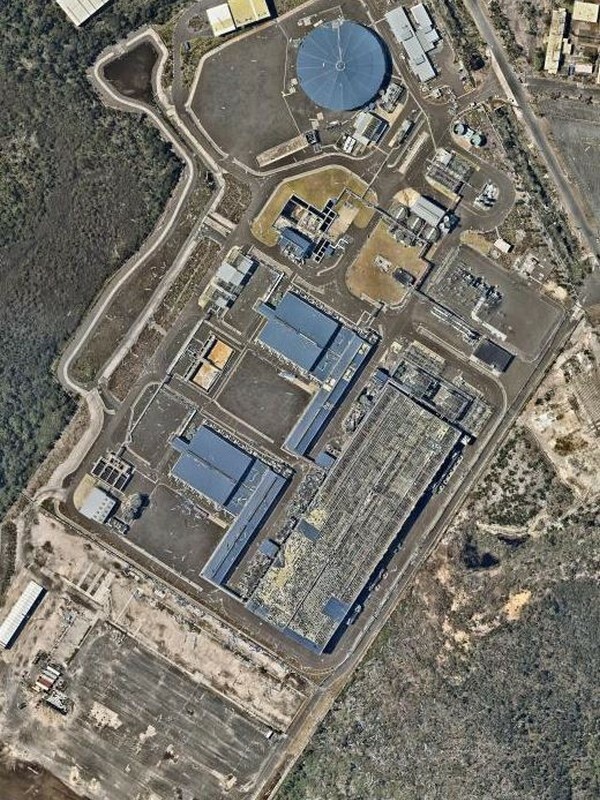 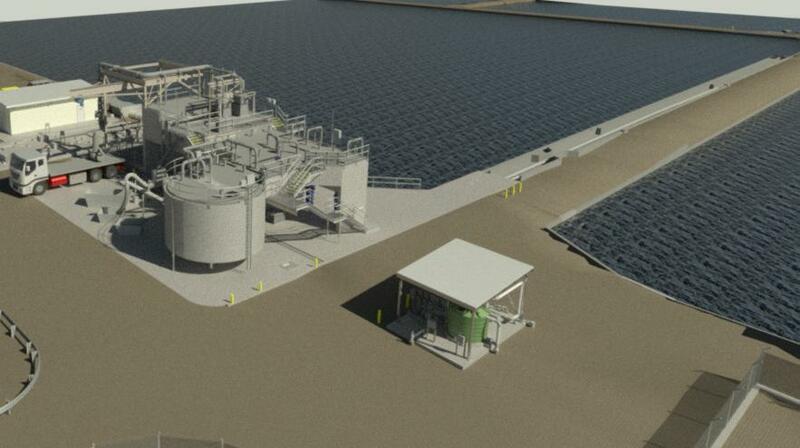 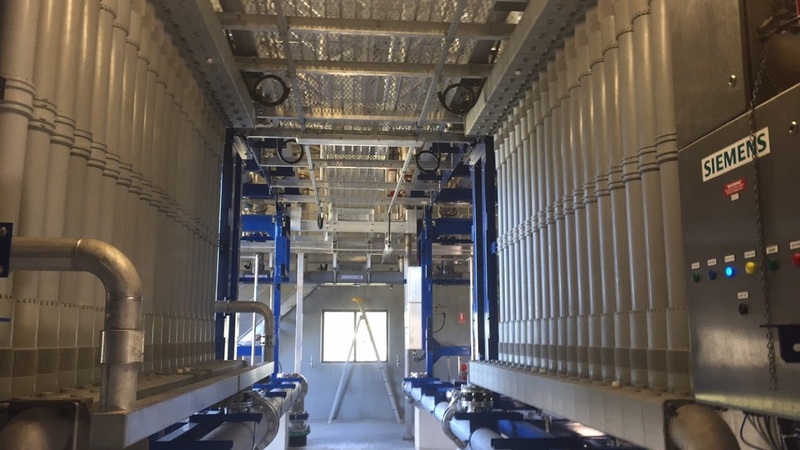 Third Party Expert Review of a New reverse osmosis desalination plant treating brackish water and of a new sewage treatment plant for the $2b Amrun mine expansion in Far North Queensland. 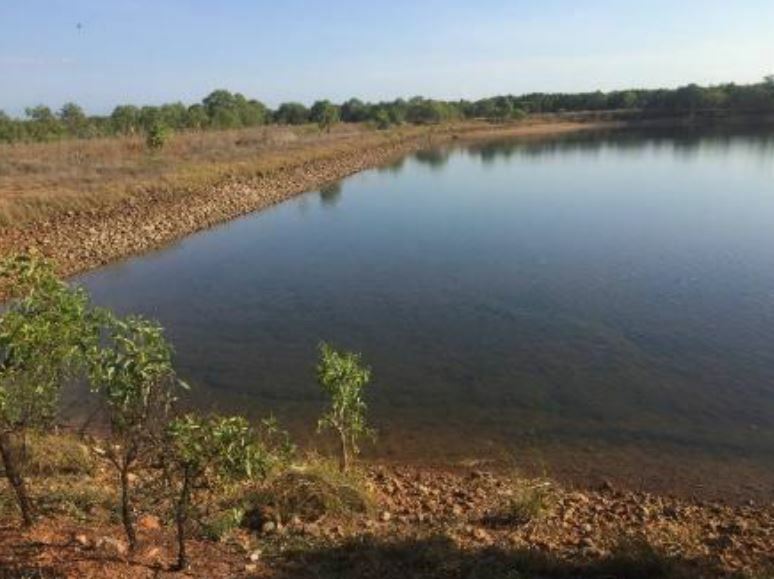 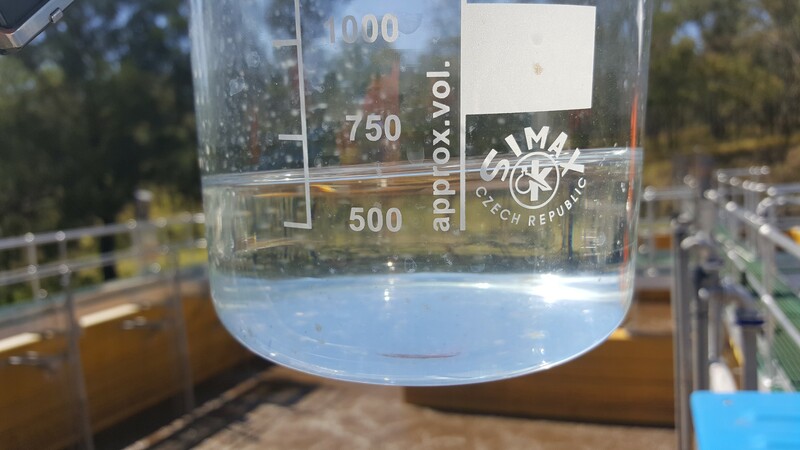 Due to drought conditions causing low levels in the two town’s water supply dams, the Queensland Department of Infrastructure, Local Government and Planning required an emergency desalination scheme to be investigated and tendered for the town. 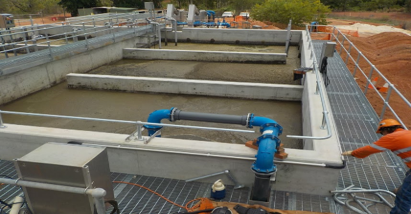 GANDEN provided technical advice for the investigation of the intake, outfall and treatment plant site options. 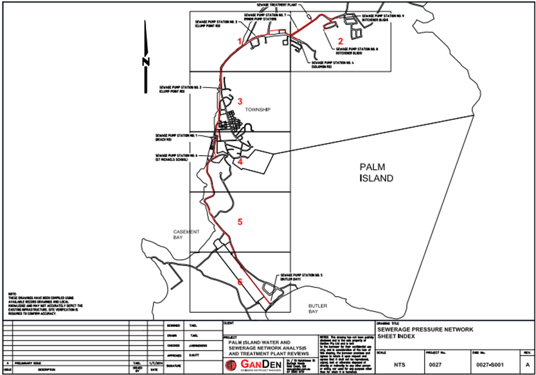 GANDEN also wrote the technical specification for the tender documents and assisted in the evaluation of the tenders. 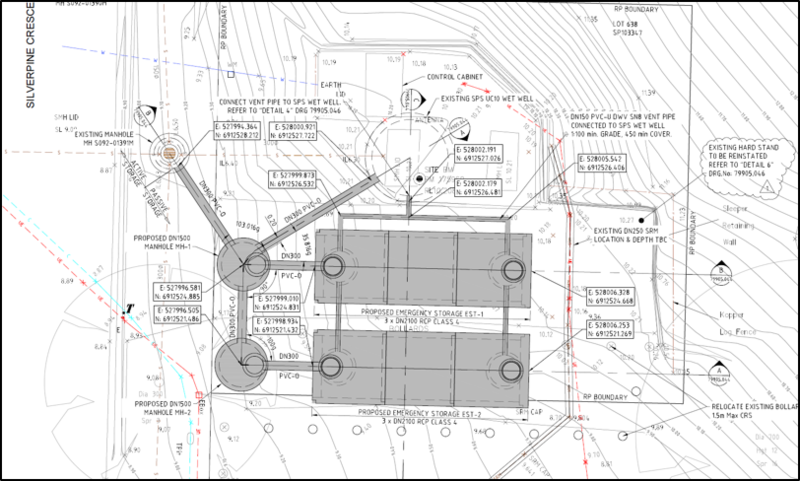 Design of a replacement of a Y junction. 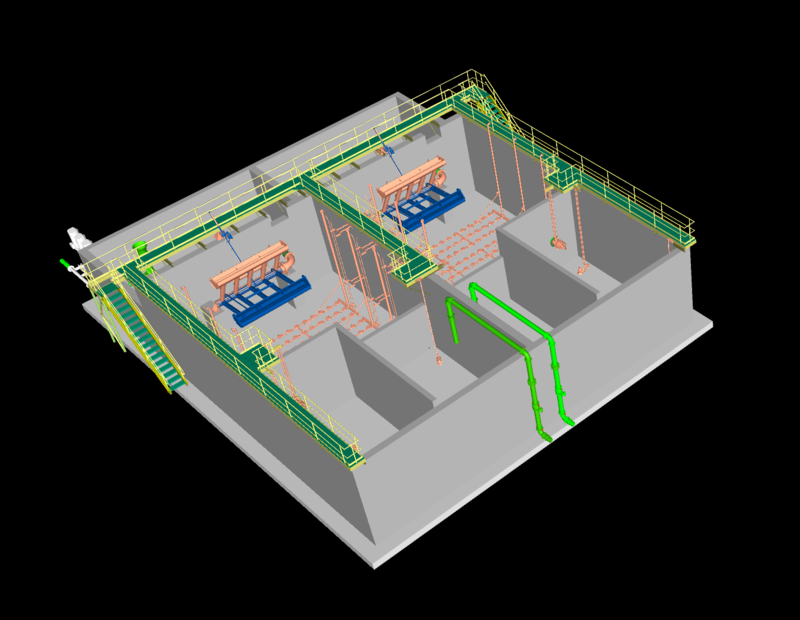 This project required high dimensional accuracy as the shutdown window was short. 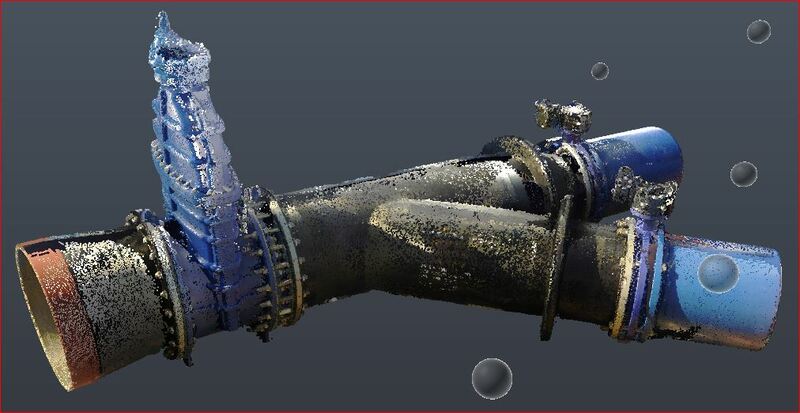 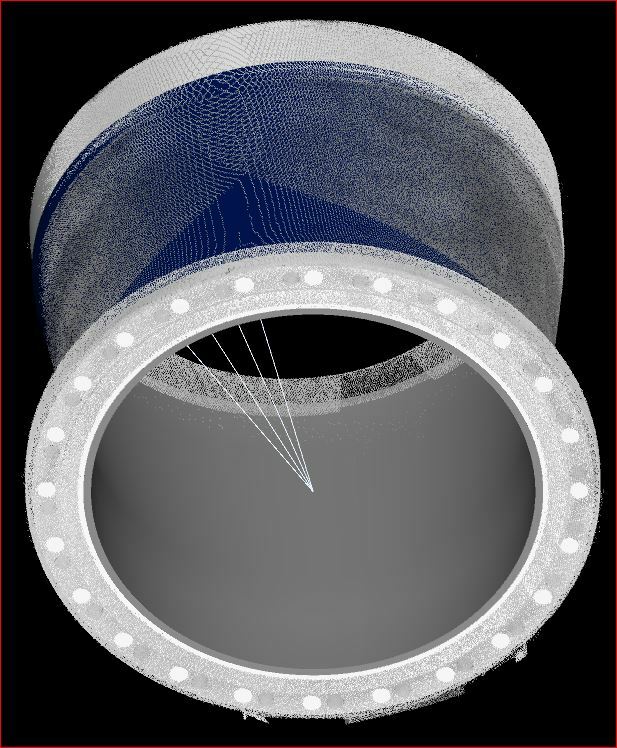 This was achieved using laser scanning of the existing pipe, then scanning of the constructed pipe in the workshop. 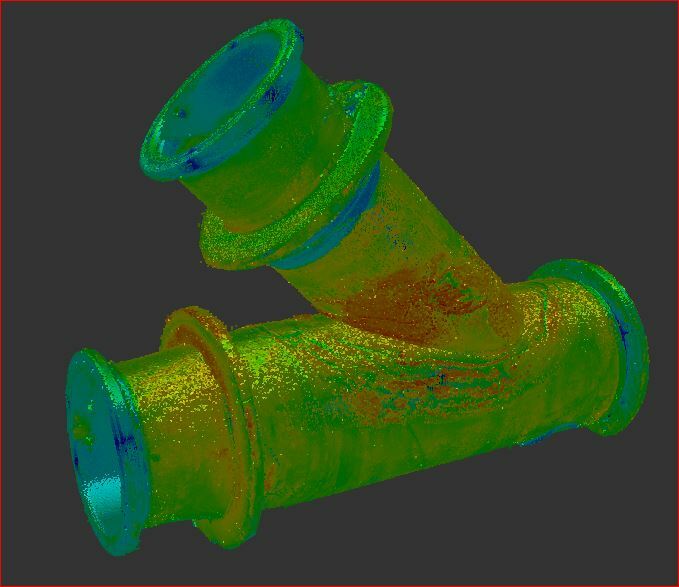 This scanned data was then input into the model to check the manufacture of the pipe before dispatch to site. 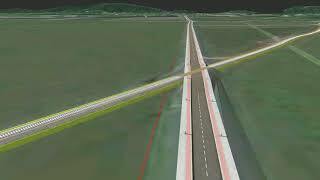 The construction was performed without any site modification. 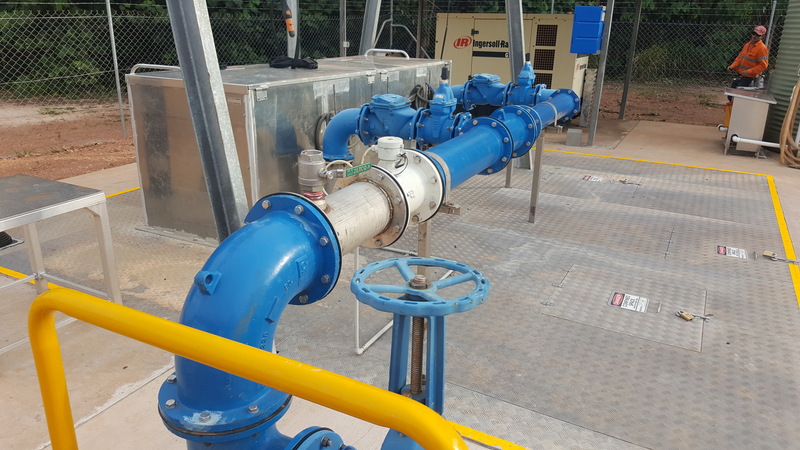 Design and documentation of a pump station and 10 km 500 DICL pipeline, including hydraulic modelling using Bentley WaterCAD and water hammer analysis using WATHAM. 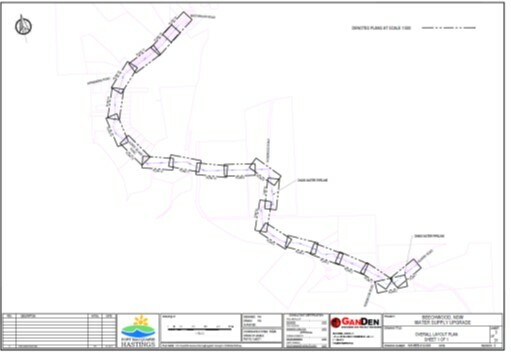 Civil design and documentation of a new water main approximately 6km in length from the existing Rosewood reservoir to Beechwood village. 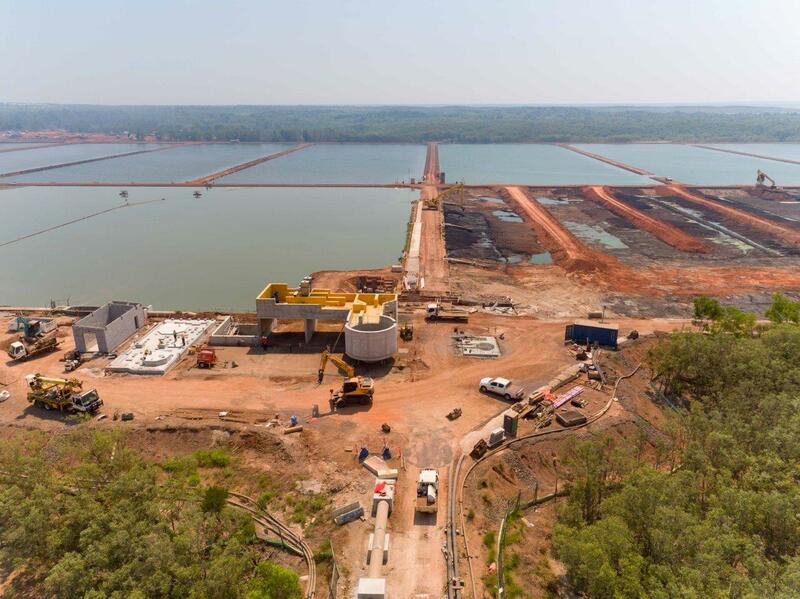 The main included approximately 410m of DN600 DICL and approximately 5400m of DN200 (various materials), including an under bore of the Hastings River. 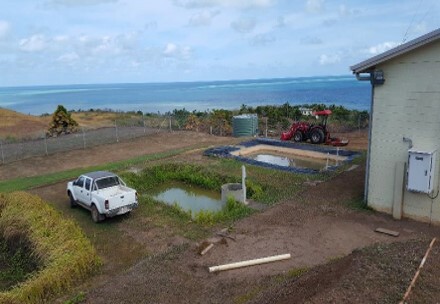 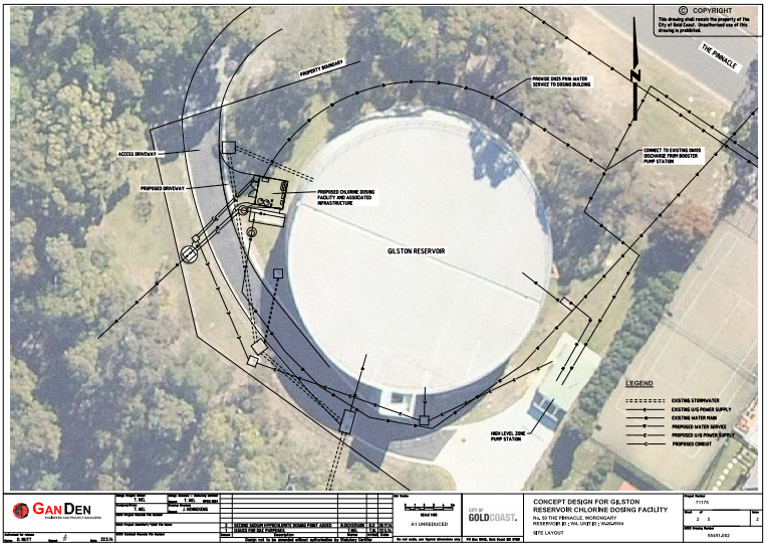 Tender design and documentation of the concrete reservoir including SCADA upgrades, gas chlorine dosing system, site earthworks/landscaping, and galvanised steel framed roofing. 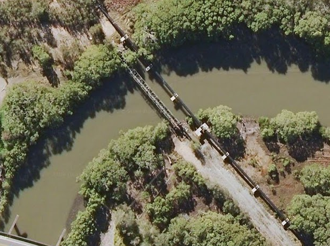 Pormparaaw is a remote indigenous community in Far North Queensland. 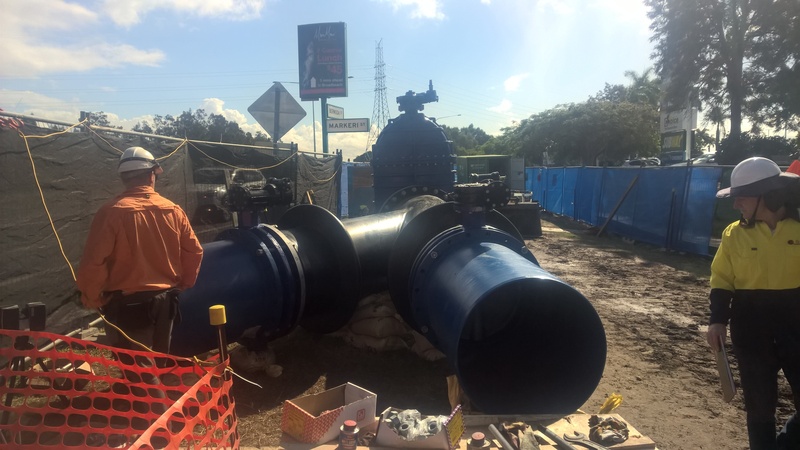 GANDEN provided detailed designs and documentation for a new DN750 MSCL recycled water pipeline across Coombabah Creek and demolition and removal of redundant assets. 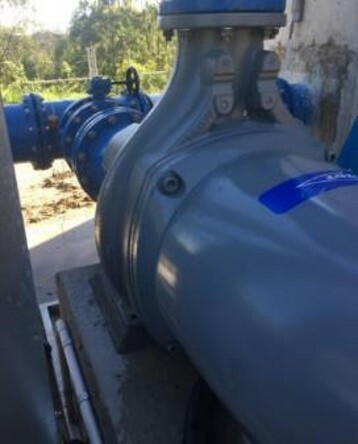 GANDEN was engaged to assess the capacity and condition of the existing Palm Island water supply infrastructure including the: - Water supply dam capacities and operation, The water treatment plant and The water distribution network, including producing a network model. 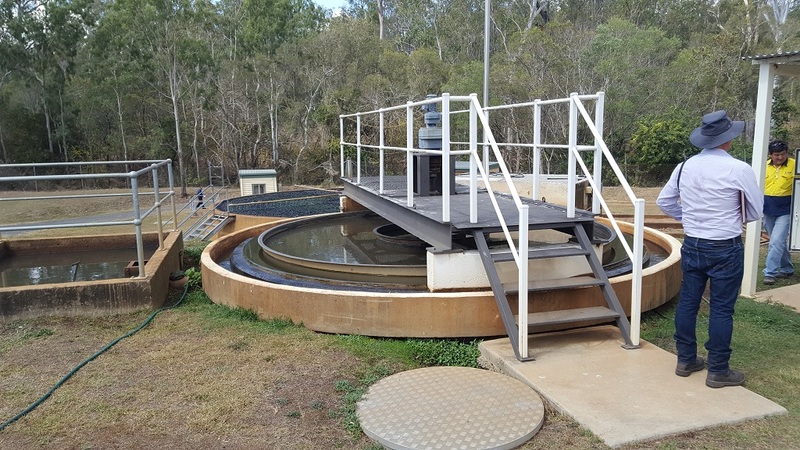 As part of the town water and sewerage infrastructure review, GANDEN also reviewed the sewage treatment plant and sewerage network. 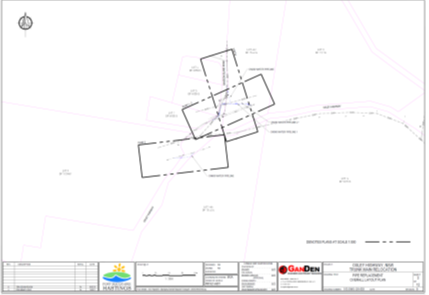 Civil design and documentation for relocation of the various pipelines to cater for the Oxley Highway upgrade inland from Port Macquarie. 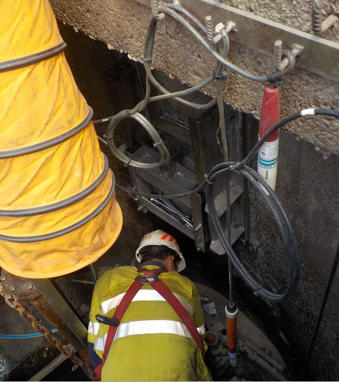 Works included pipeline civil design, hydraulic modelling, specification writing and organising survey, geotechnical and potholing. 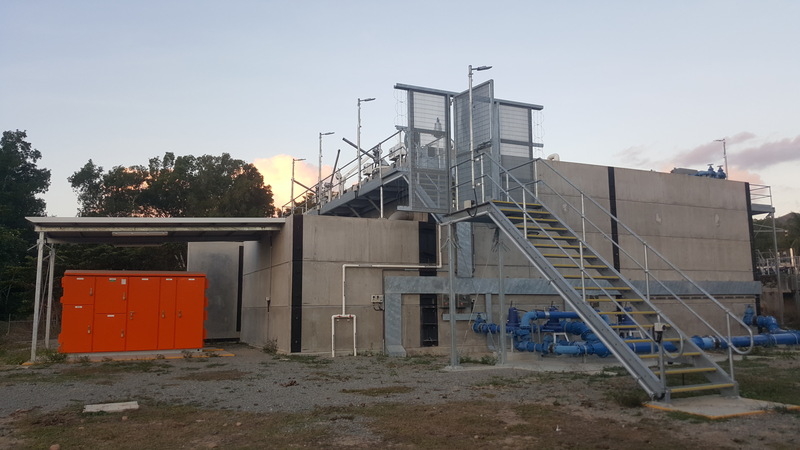 Options analysis and detailed design of 2 replacement potable water booster pump stations located in Ashgrove and Toowong in Brisbane. 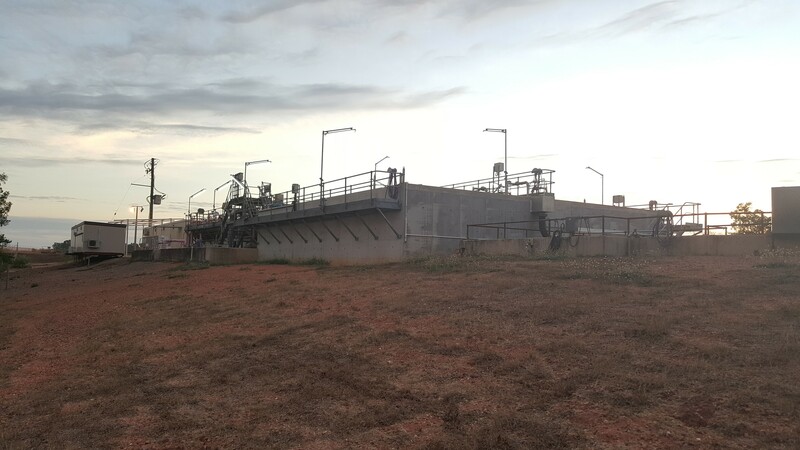 The existing pump stations remained operational during the construction period, with only a small window available for change over. 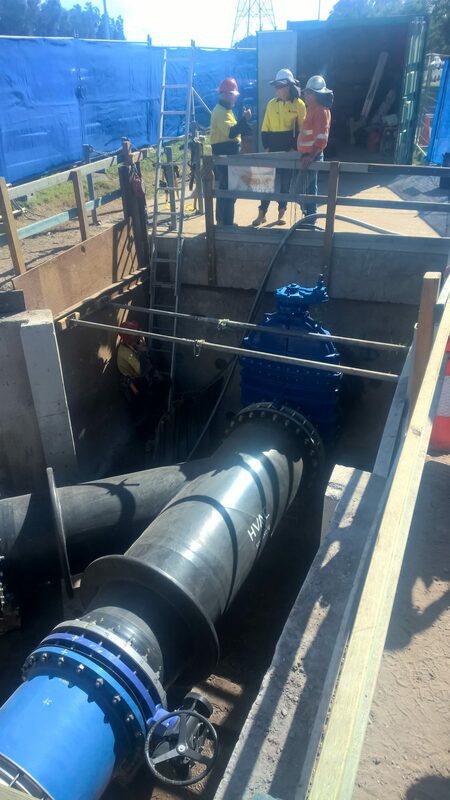 The new pump stations were designed to allow for construction to be completed before the existing pump stations were taken off line. 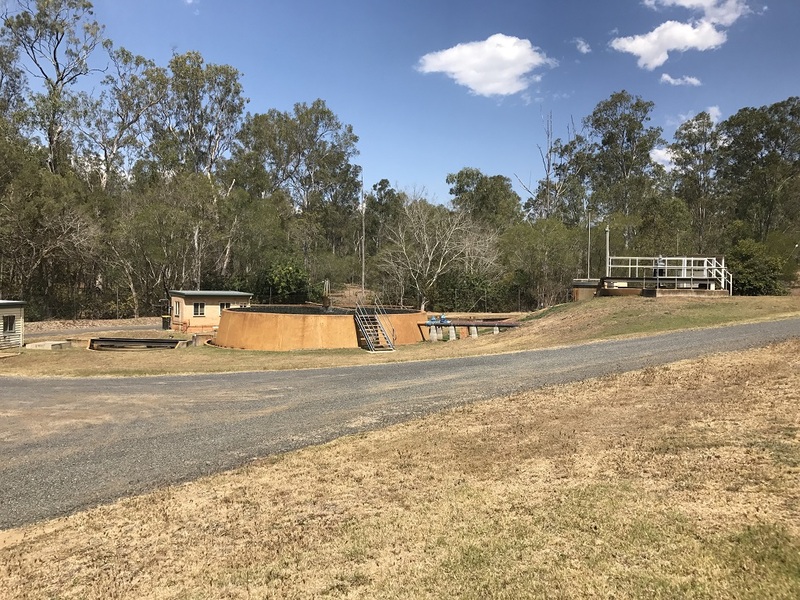 Both pump stations are located in constrained spaces within road reserves and in close proximity to existing houses, parkland and the Toowong cemetery. 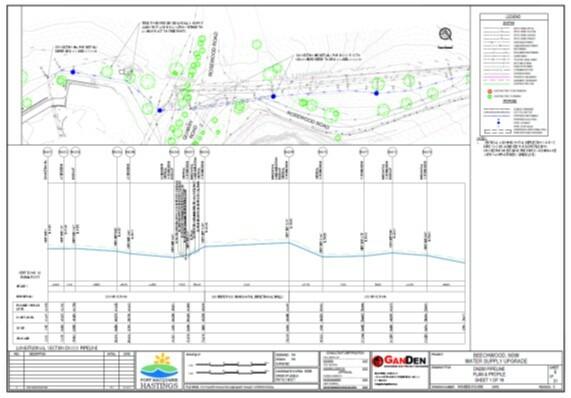 Consultation was undertaken with the Council arborist and parks officers to ensure the protection of existing trees and to select a location which minimised the impact on public amenity. 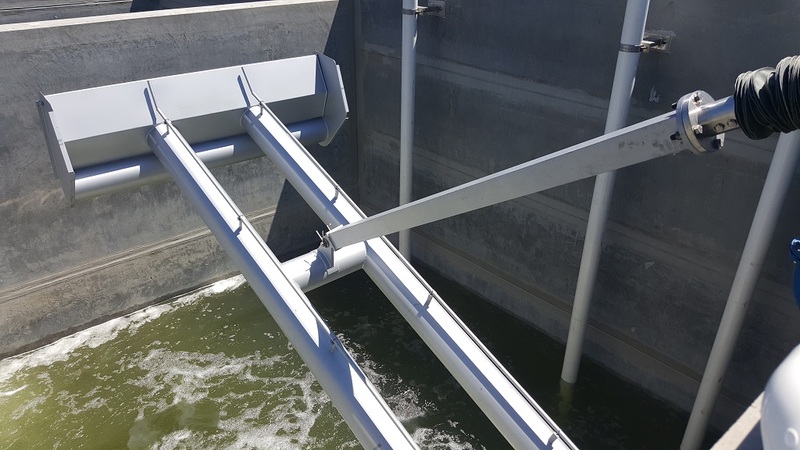 A low profile retractable acoustic cover was incorporated into the design to provide weather and and vandalism protection and to minimise the noise and visual impact on the surrounding residents. 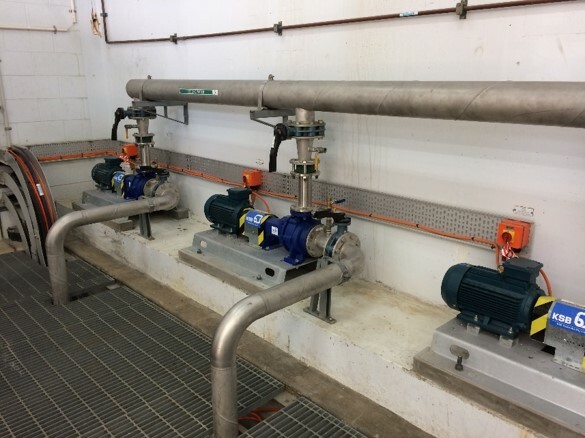 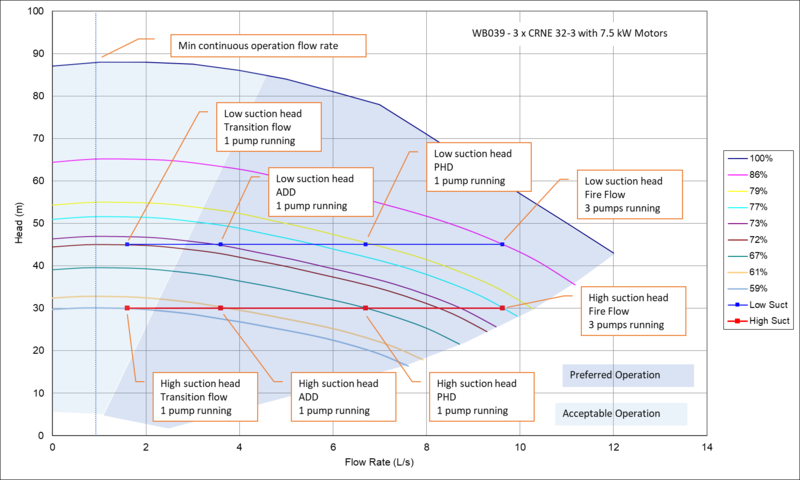 In order to accommodate large variances in flow rate and head, a 4 pump arrangement was adopted at both sites, with one small jockey pump for overnight low flow periods and 3 large pumps for day time and fire flow operation. 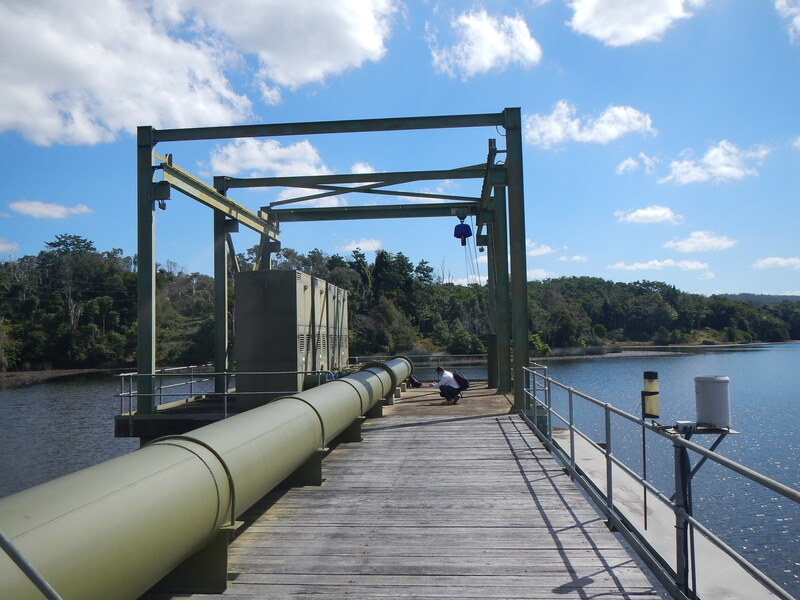 The City of Gold Coast (Gold Coast Water) required a re-chlorination facility on its reservoir at Gilston. 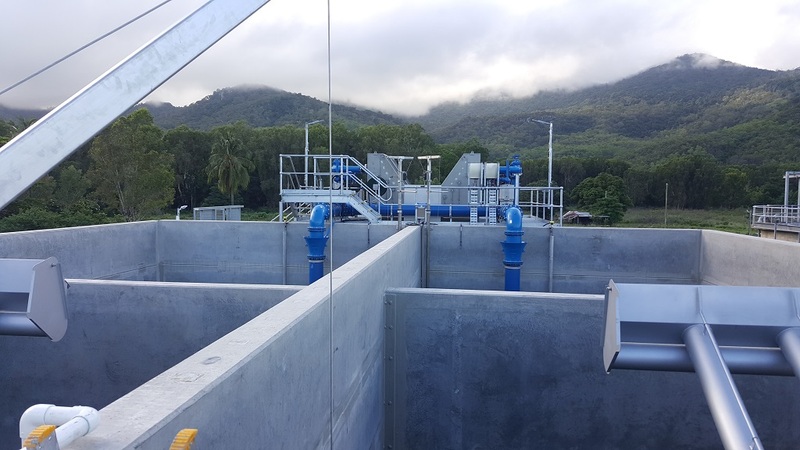 GANDEN provided the concept design and documentation and assisted Gold Coast Water throughout the detailed design review and construction period. 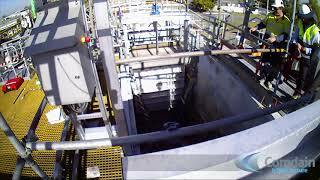 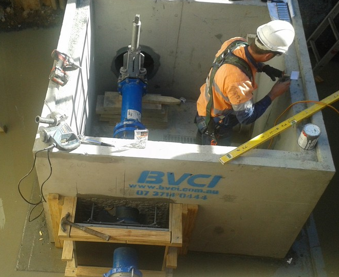 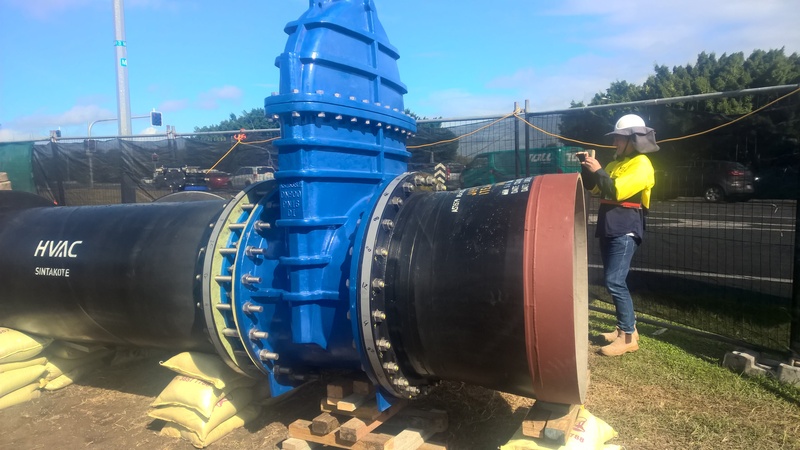 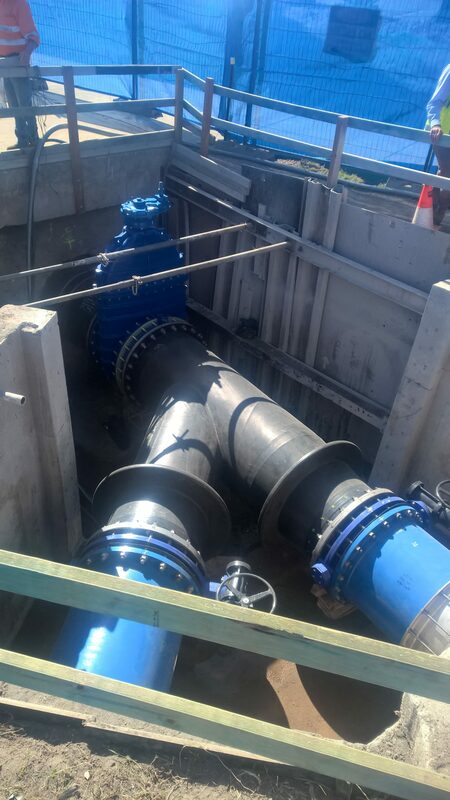 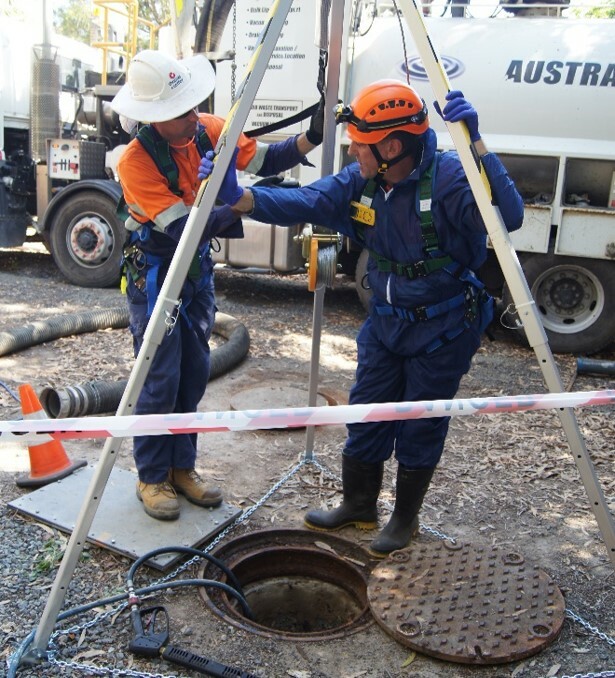 The Sewer Doors Project consisted of the design of wedge gate and knife gate valves to be retrofitted to 35 pump stations around the Brisbane area. 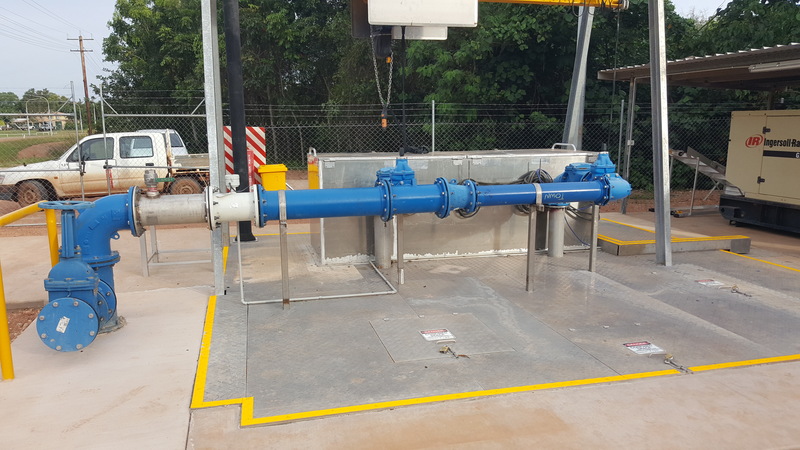 GANDEN provided project management, full design and commissioning assistance for the upgrade of two pump stations in Far North Queensland. 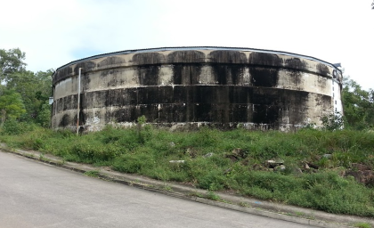 The pump stations were converted from dry wells to wet wells and buildings above demolished. 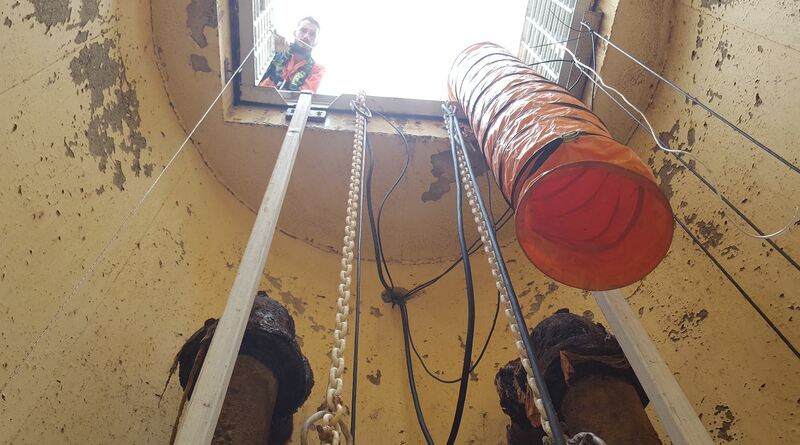 Blockages were a regular occurrence. 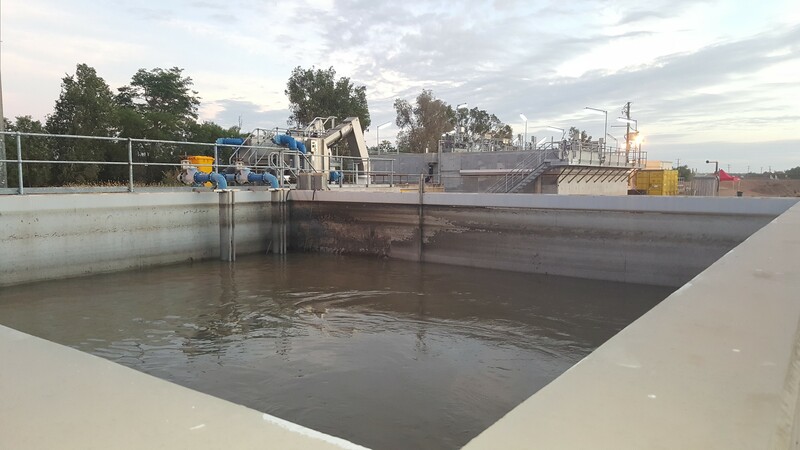 Since the pump stations were commissioned, there has been no reported blockages. 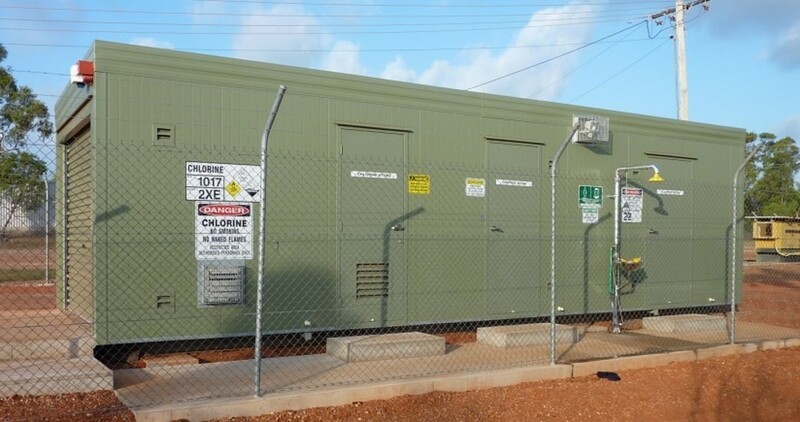 Civil Design for the installation of Emergency Storages at 11 sites in the Gold Coast Region - Several Projects. 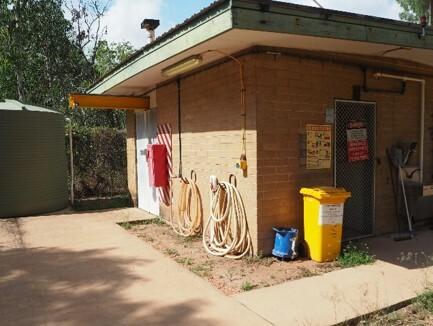 Condition assessment and upgrade options advisory services for three pumps stations in Cairns, North Queensland. 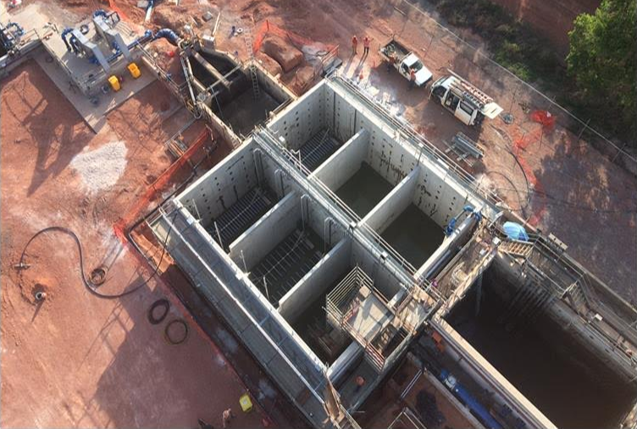 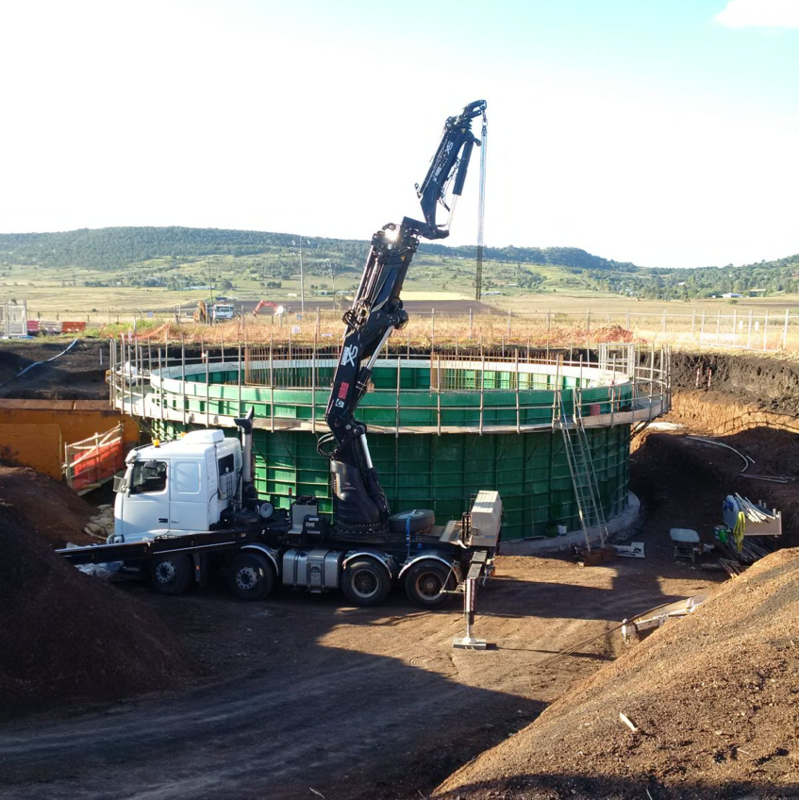 The Toowoomba Sewer Network Enabling Project comprised the design of three pump stations, emergency storages and rising mains. 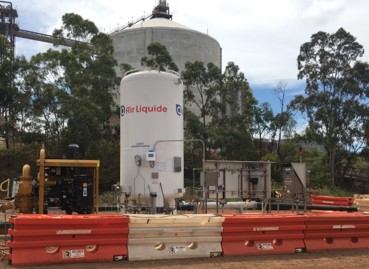 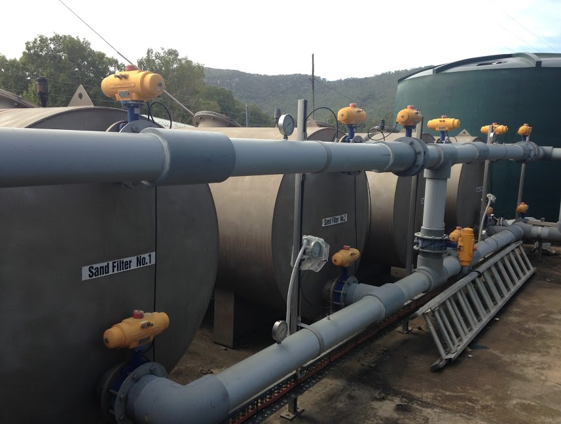 Design and project management of pH and suspended solids control for two stormwater catchments on a refinery for a major mining company. 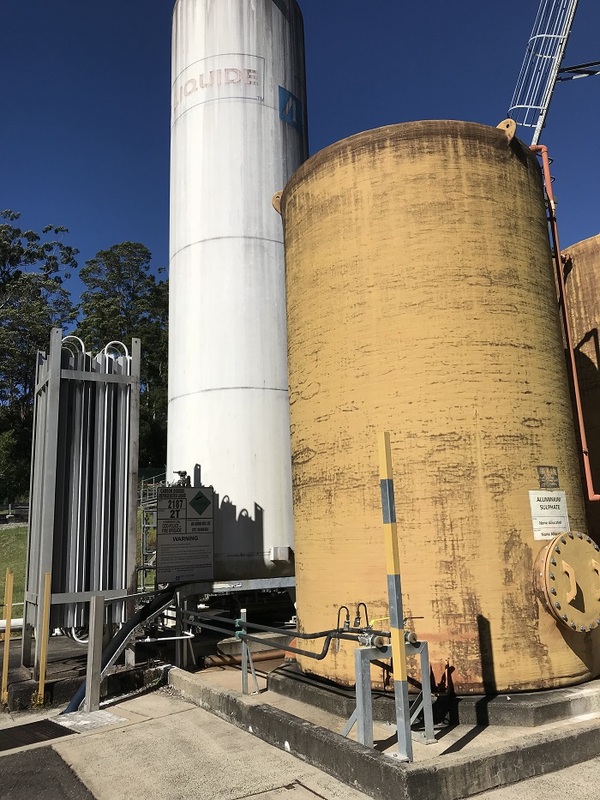 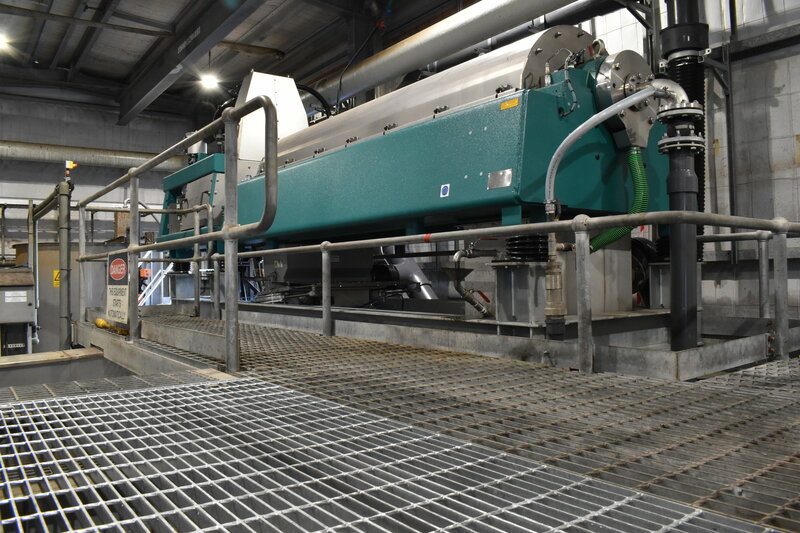 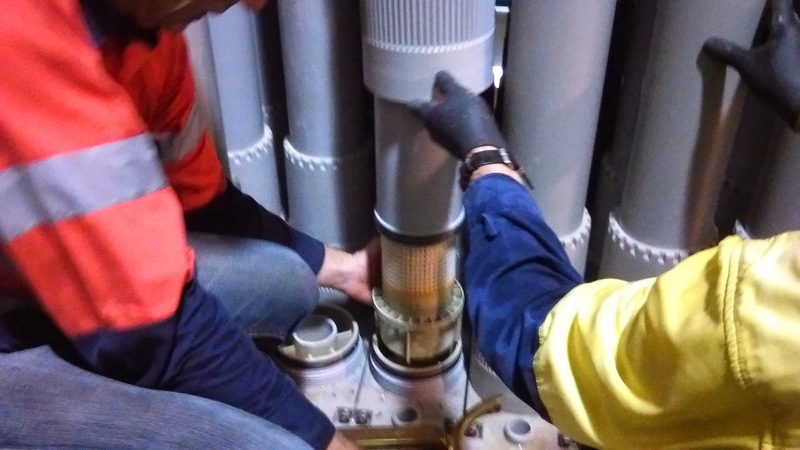 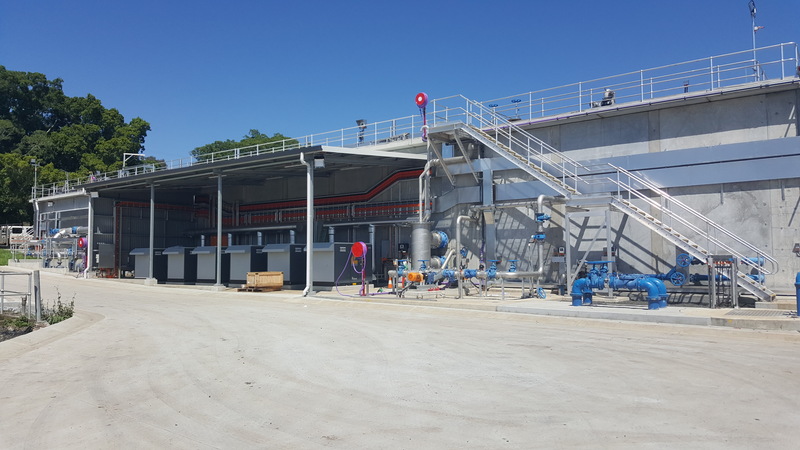 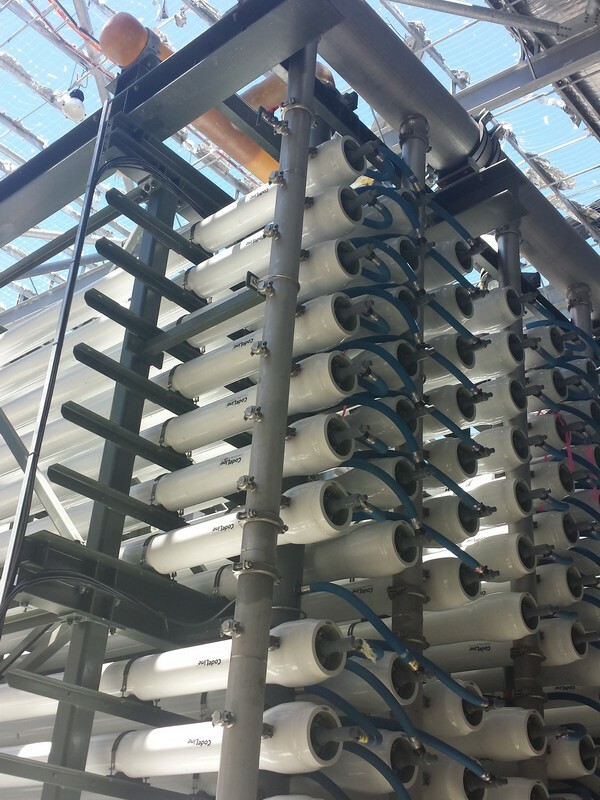 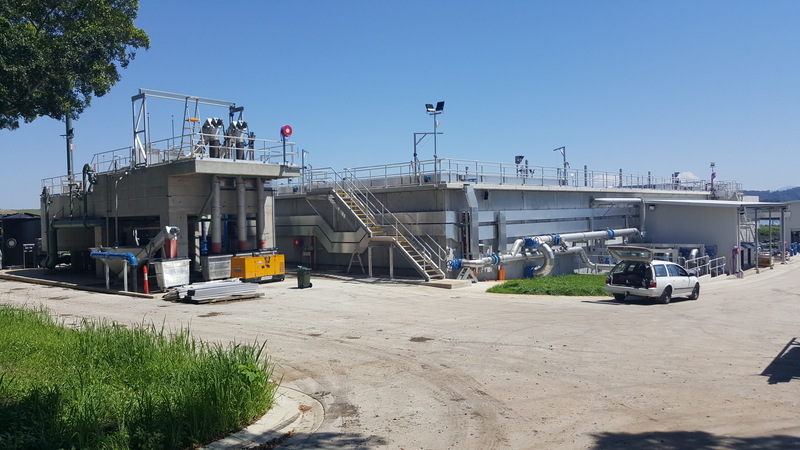 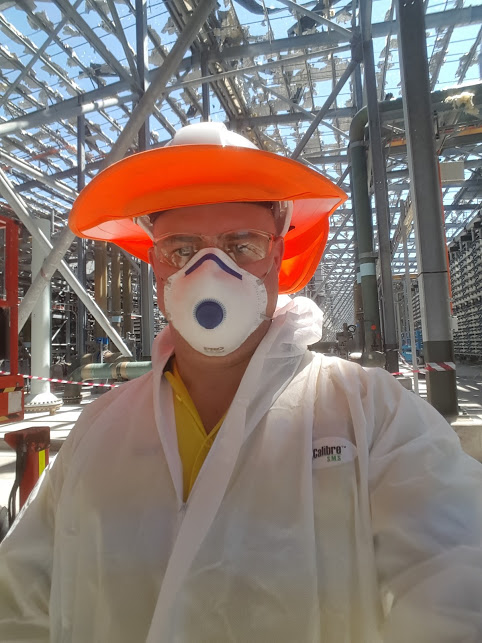 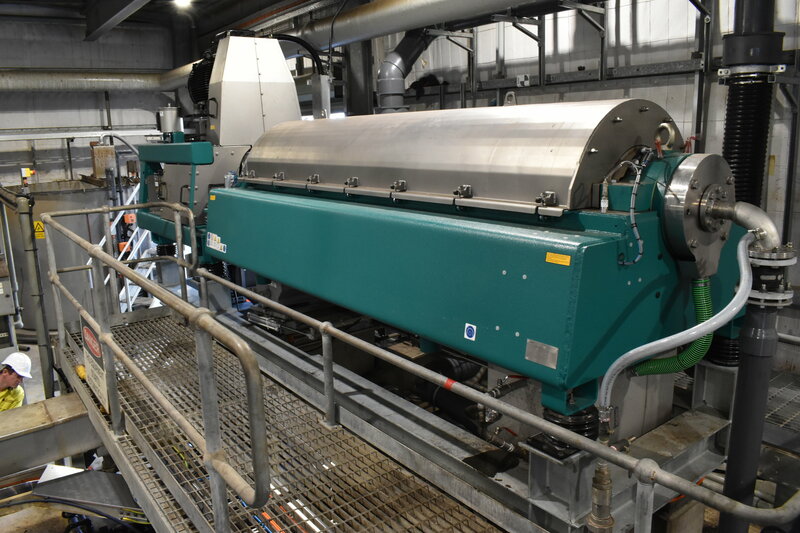 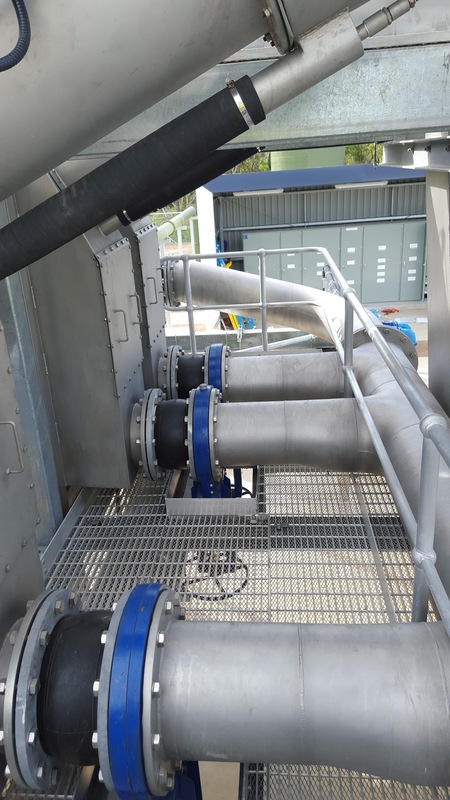 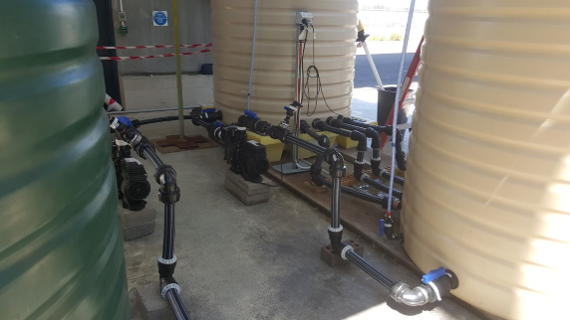 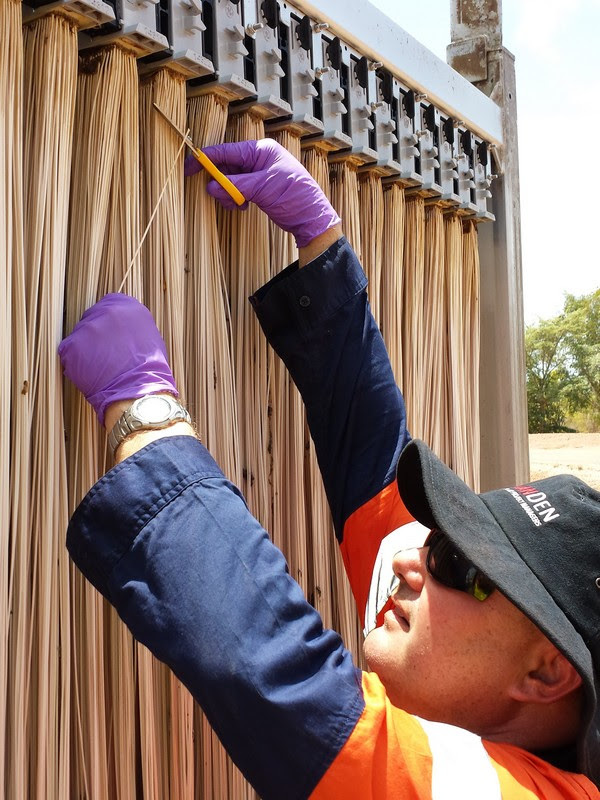 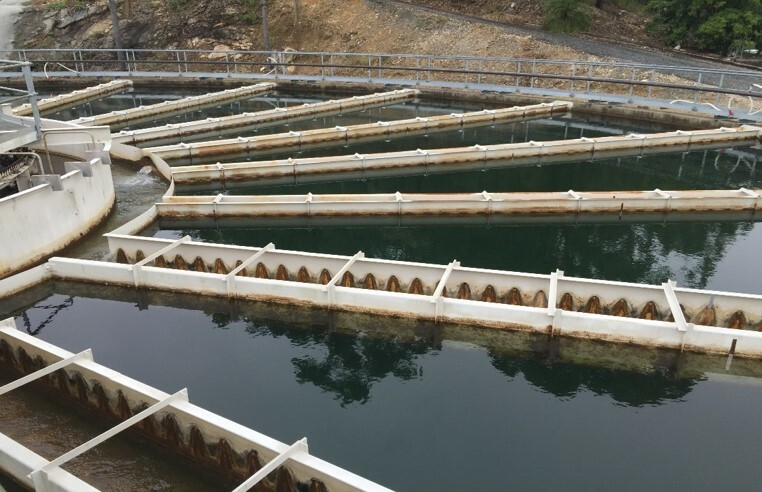 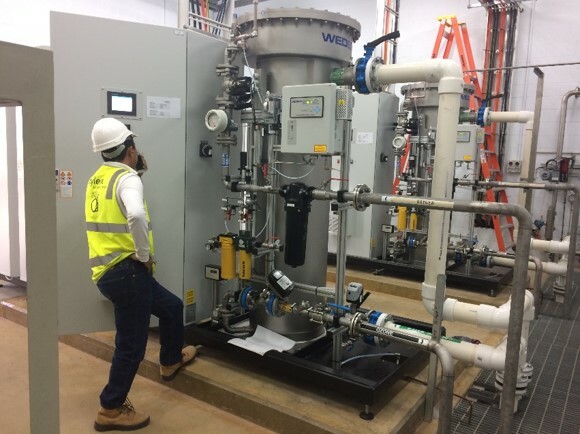 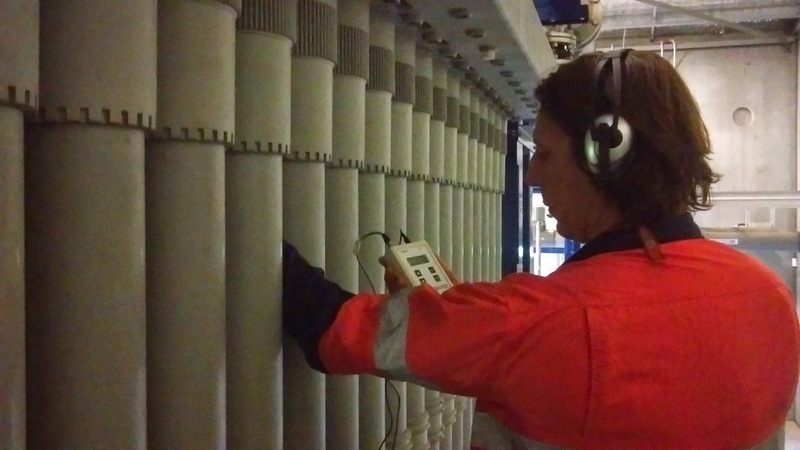 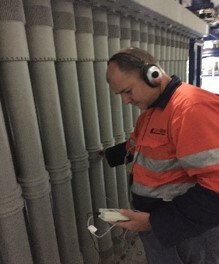 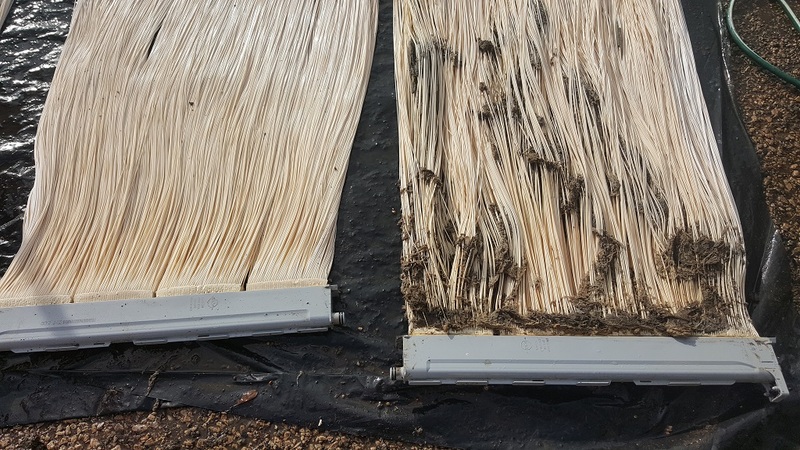 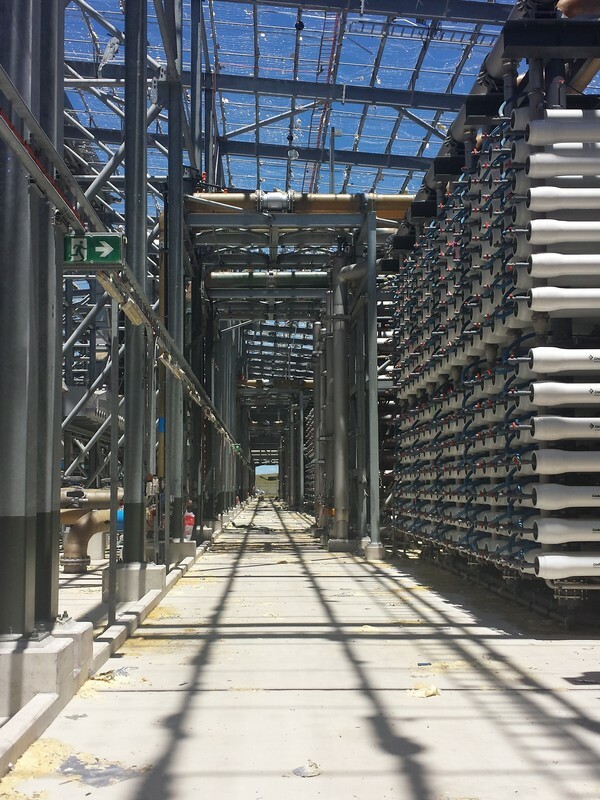 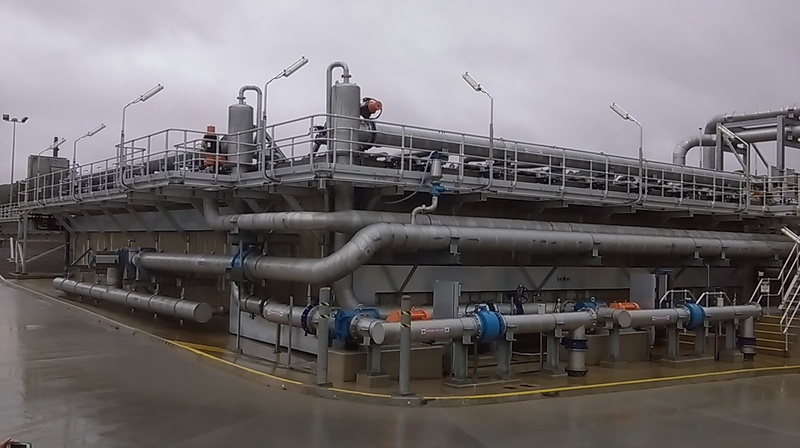 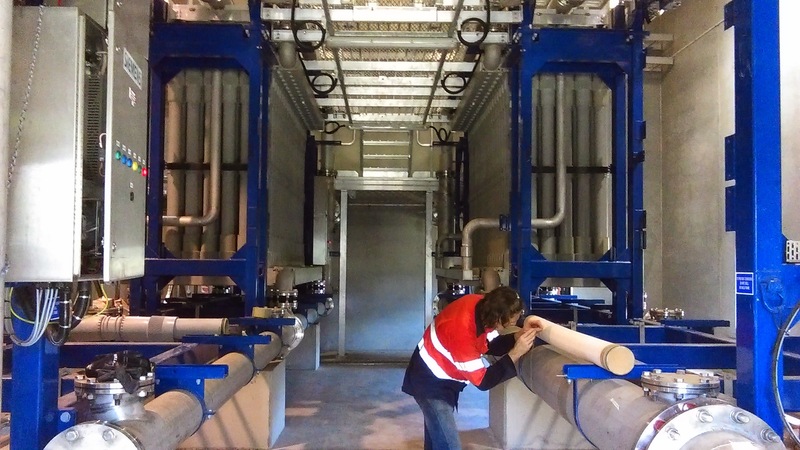 GANDEN provided quarterly maintenance services for the Siemens Memcor ultrafiltration membranes at the Pimpama Water Recycling Facility on the Gold Coast. 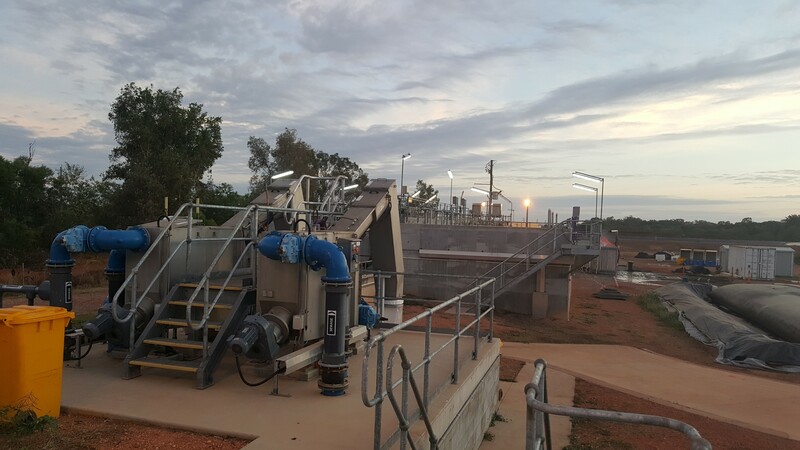 Preparation of documentation to allow the licensing of a new sewage treatment plant and associated effluent irrigation scheme for a mining camp in Moomba, South Australia. 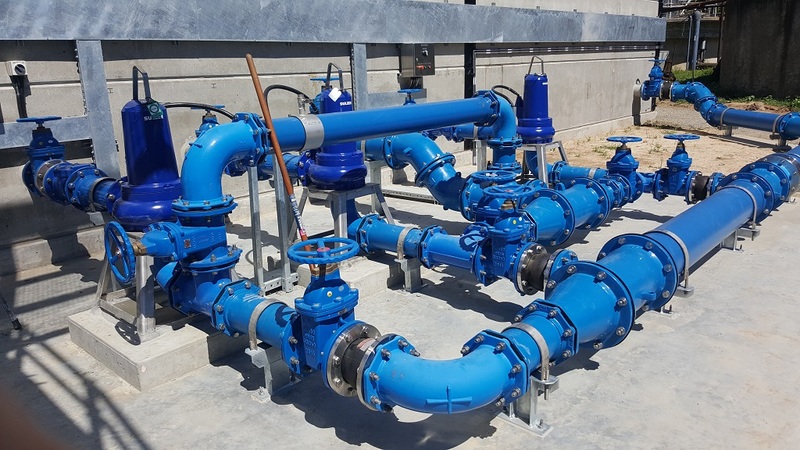 Design of recycled water system storage and treatment including Storage Structure, Flow Diversion Chamber, Sodium Hypochlorite Dosing, Transfer Pump Station, Sampling System, Shade Structure and Pipelines. 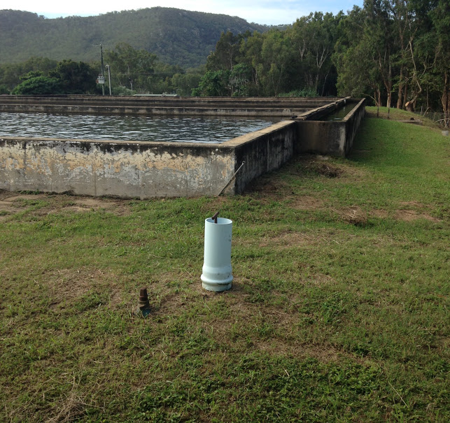 Negotiating the Environmental authority for two membrane bioreactor sewage treatment plants and irrigation disposal operated by Council in a national park. 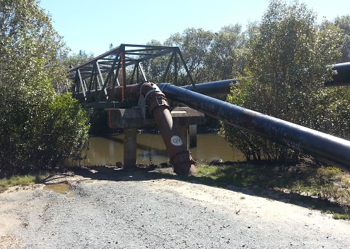 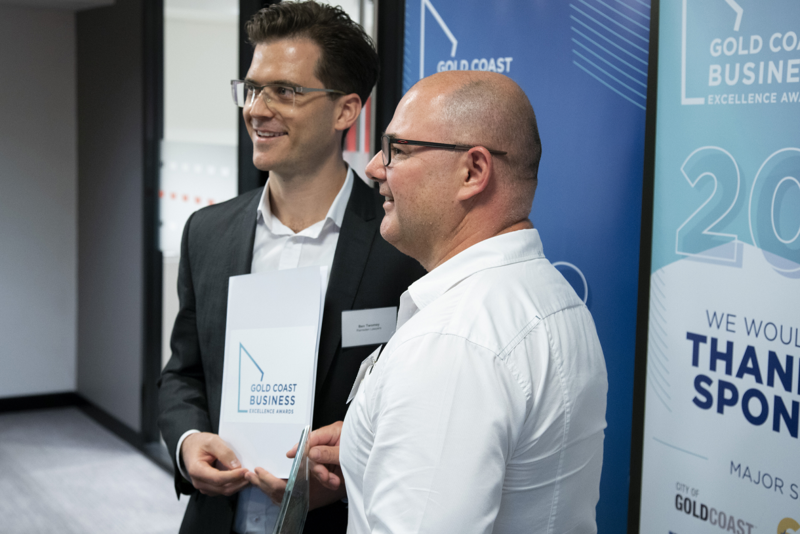 The project required close liaison with the Queensland Department of Environment and Heritage. 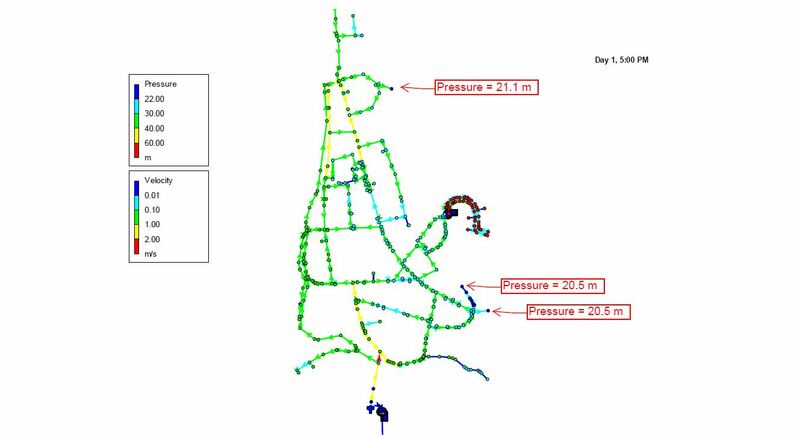 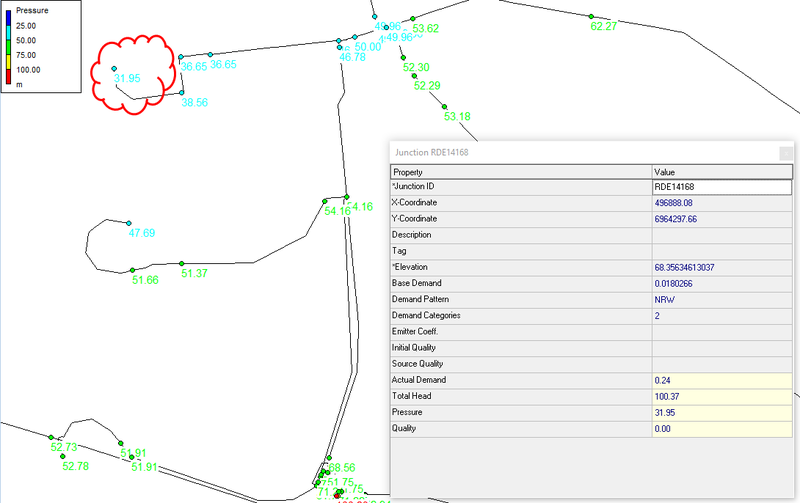 The scope of work also included MEDLI modelling to determine the size of the effluent irrigation area. 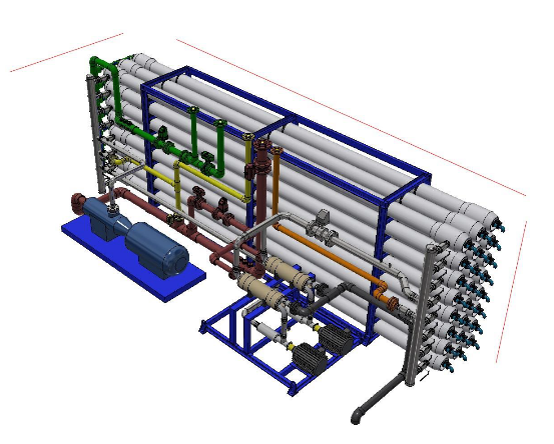 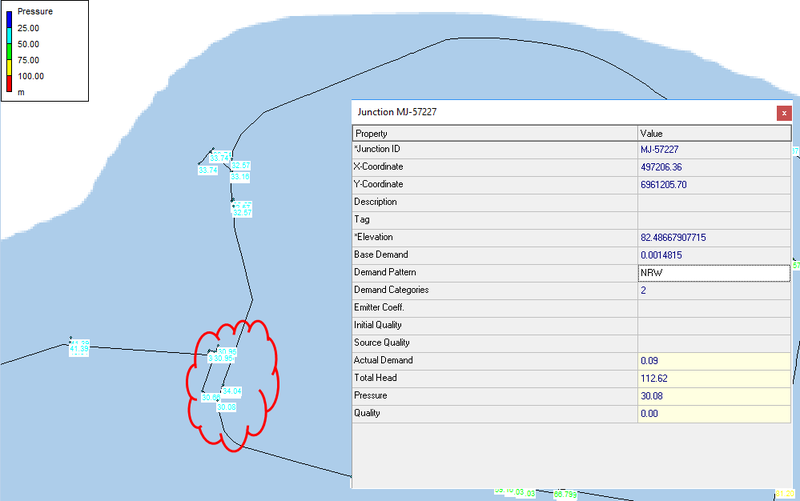 Design of a evapotranspiration bed for effluent disposal, including MEDLI Modeling, for a major mining company.